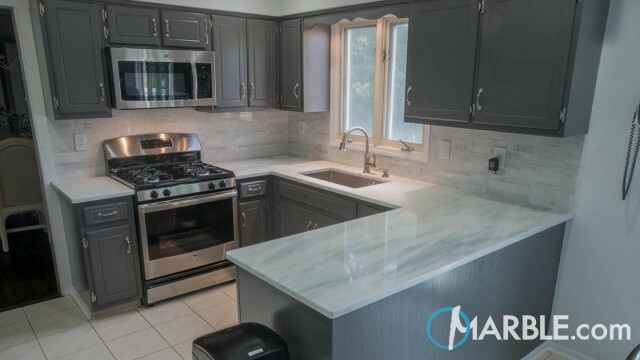 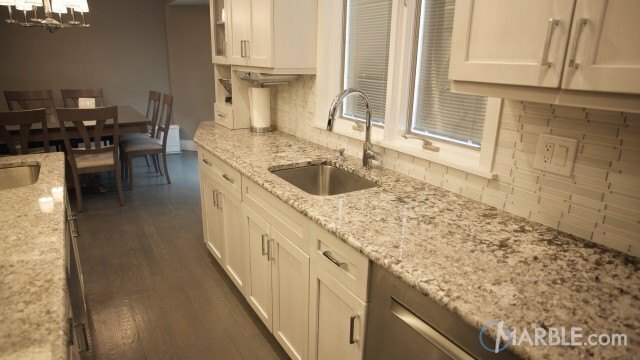 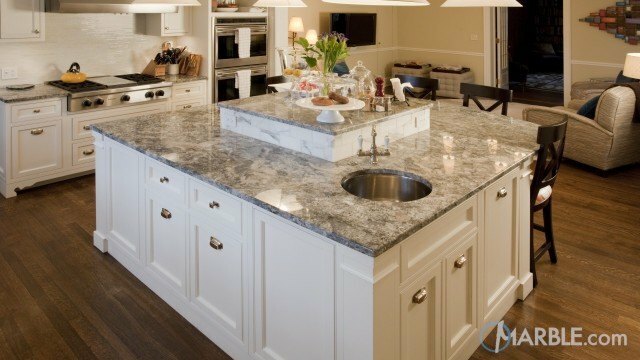 Grey and white Bianco Antico granite pairs wonderfully with the tiled floor of this large kitchen. 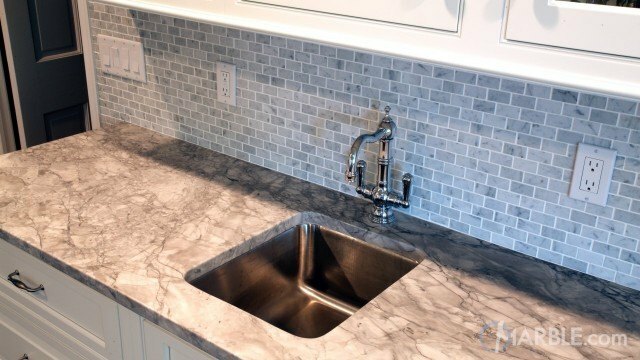 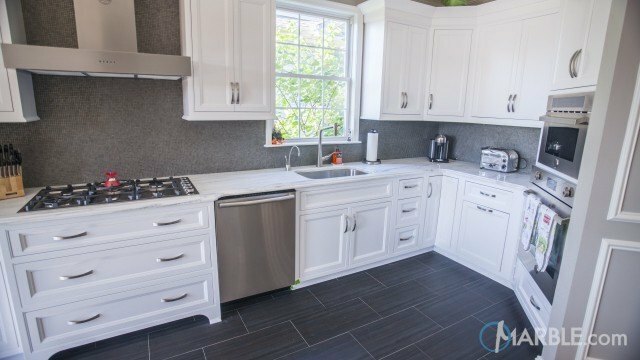 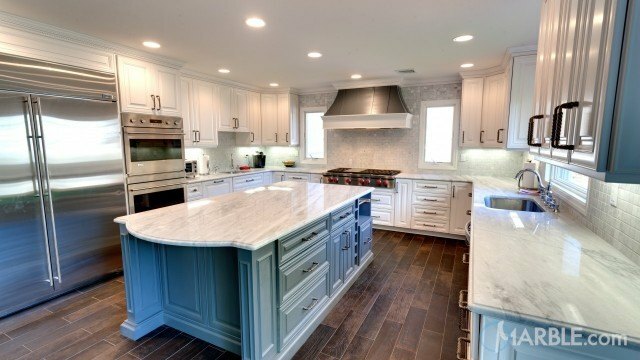 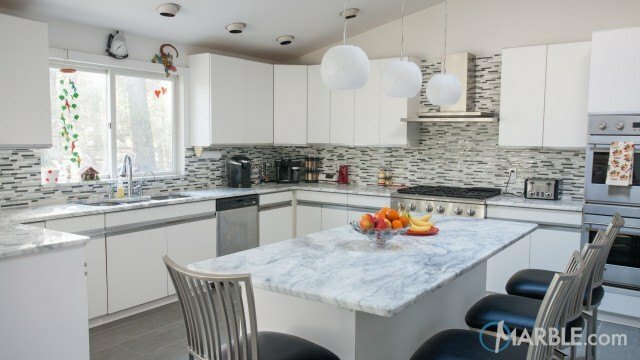 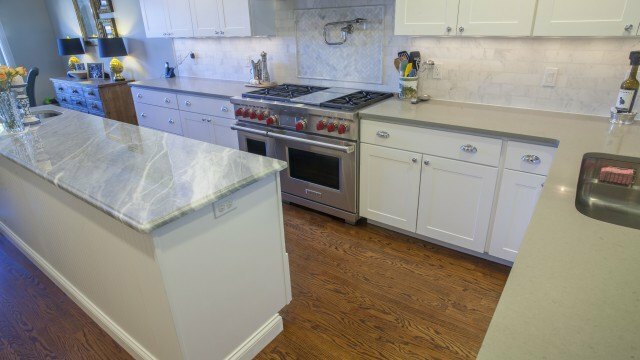 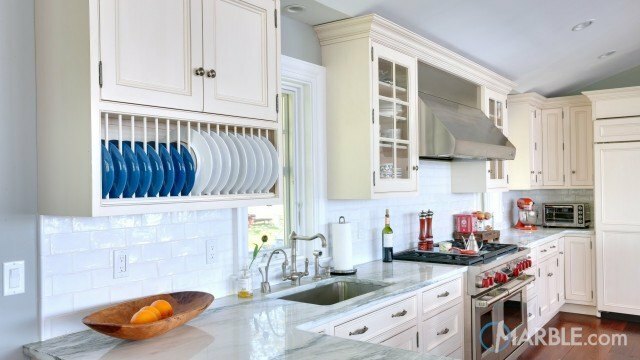 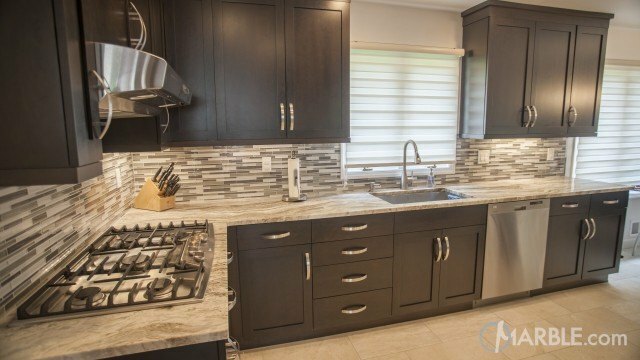 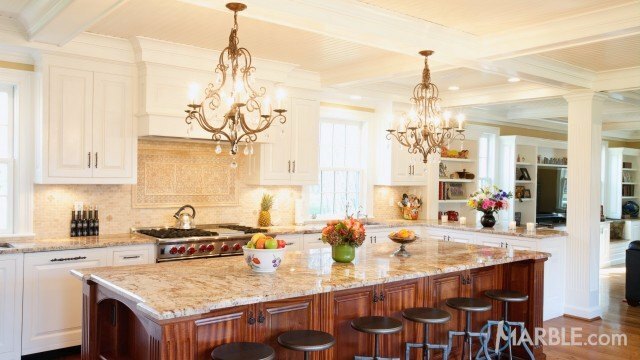 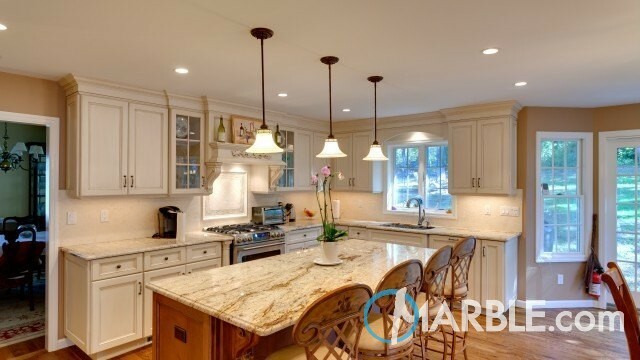 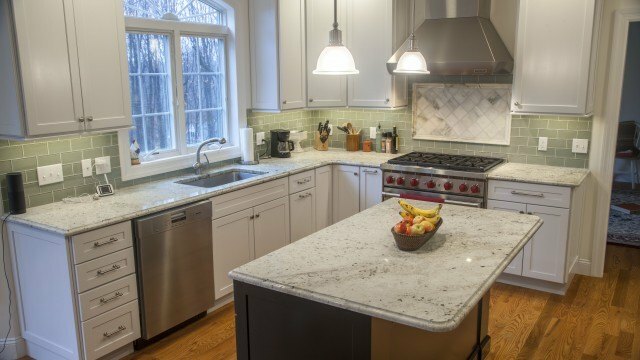 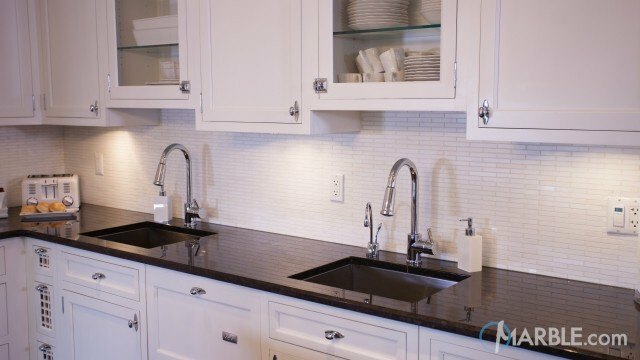 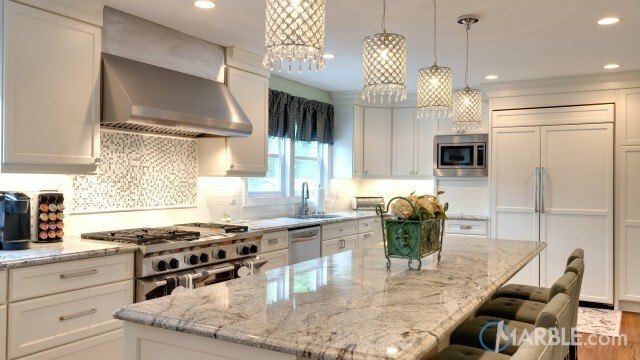 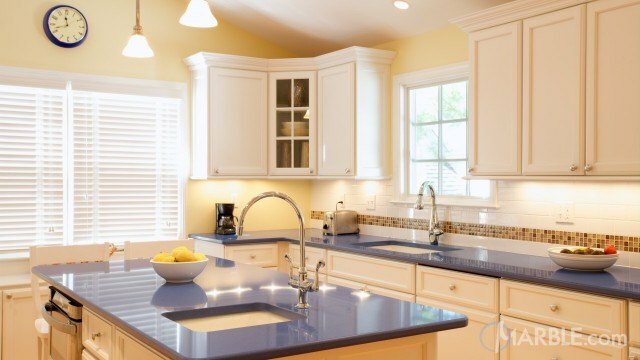 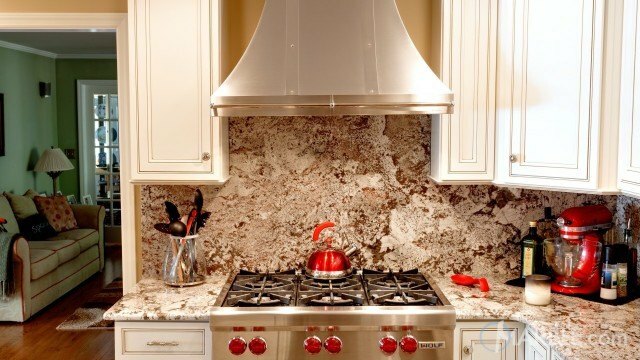 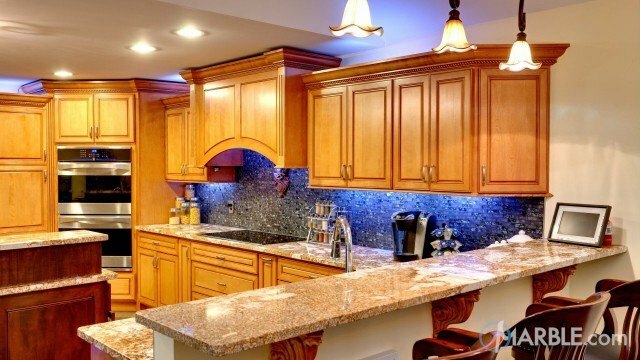 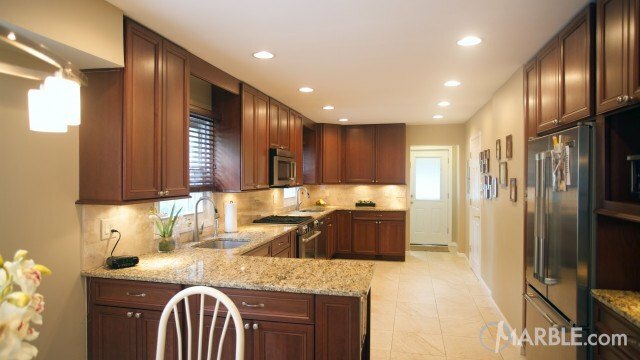 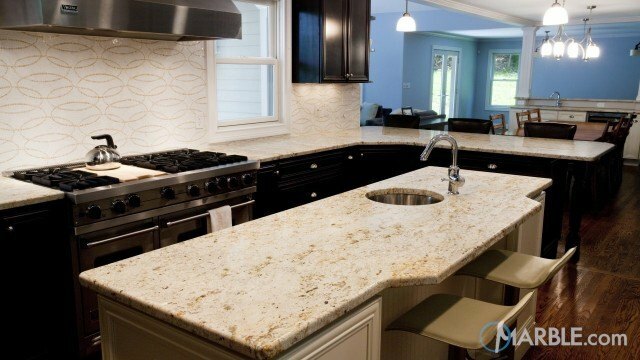 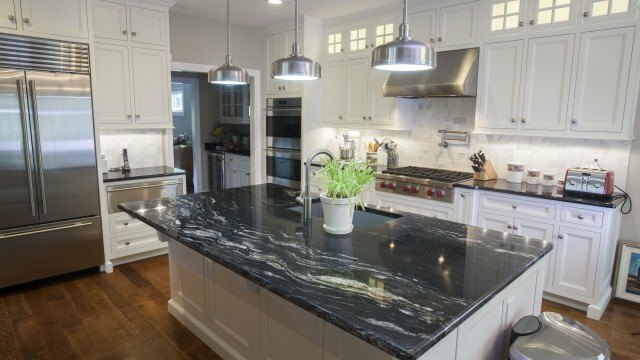 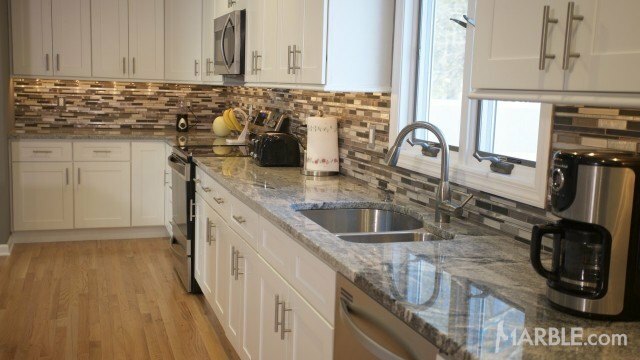 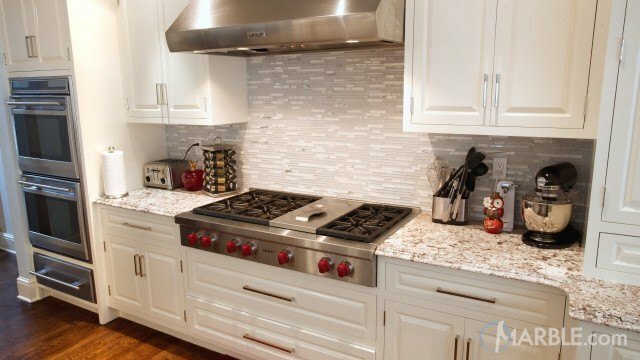 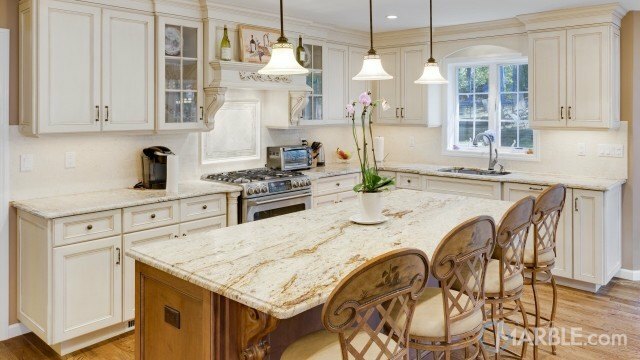 Bianco Antico makes both the light and dark cabinets look magnificent. 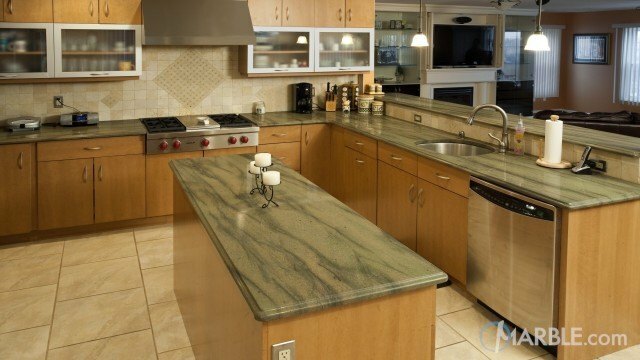 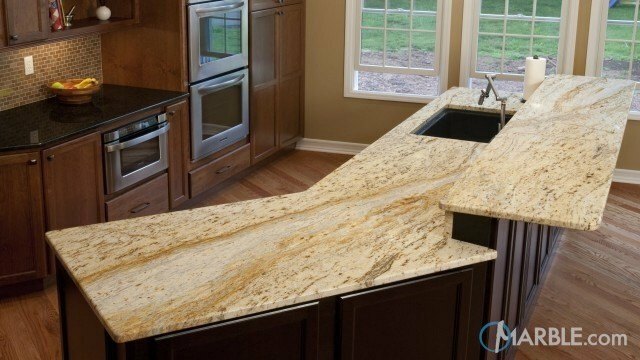 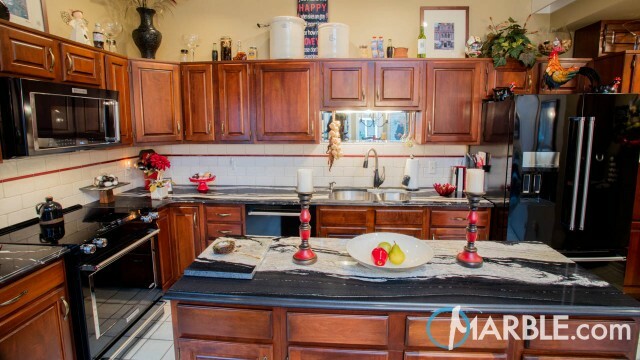 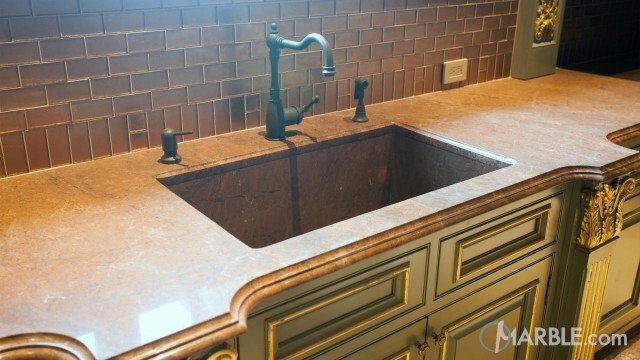 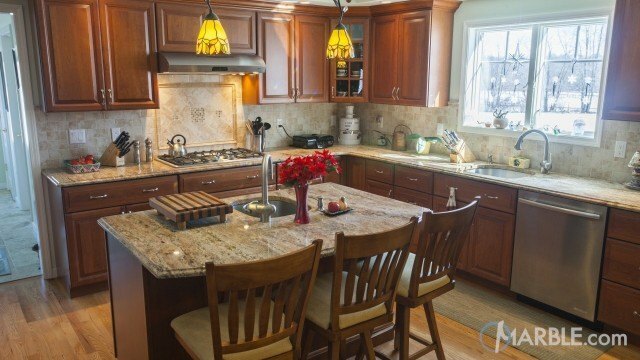 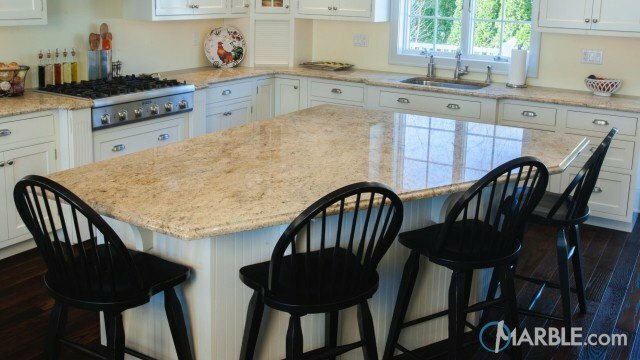 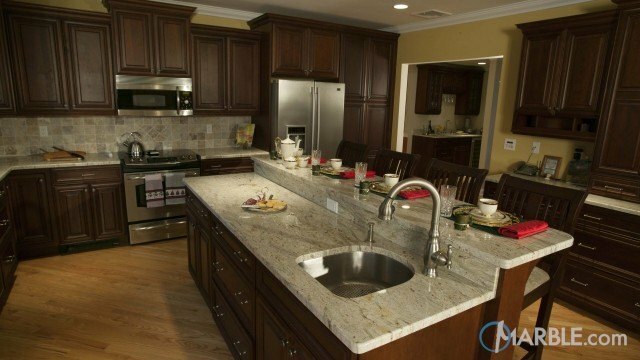 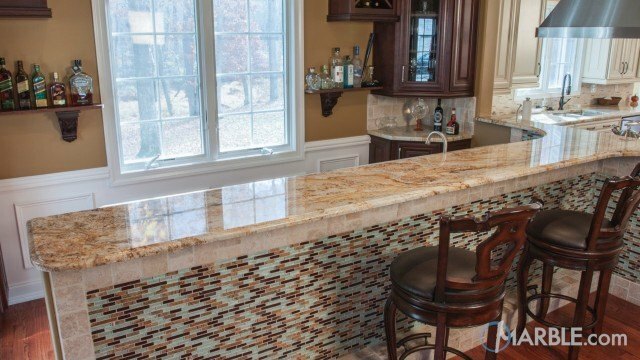 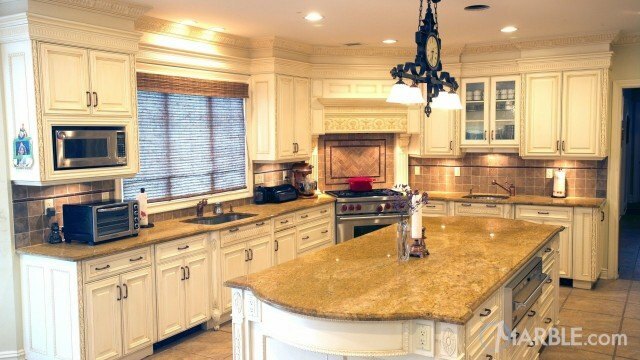 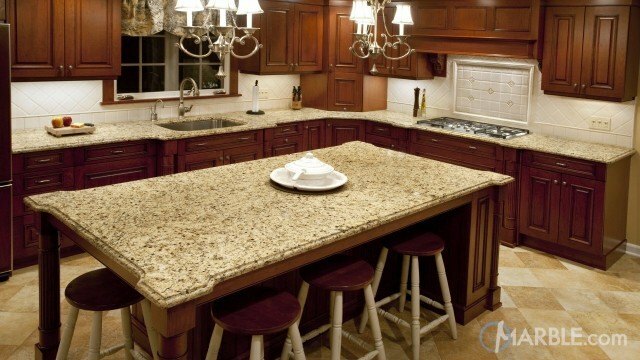 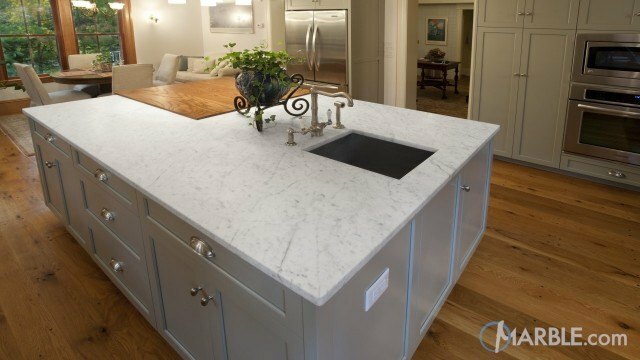 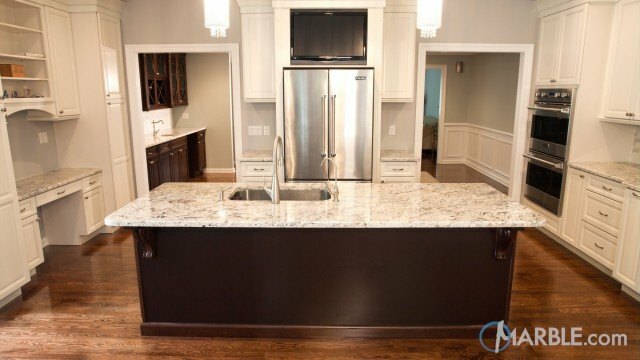 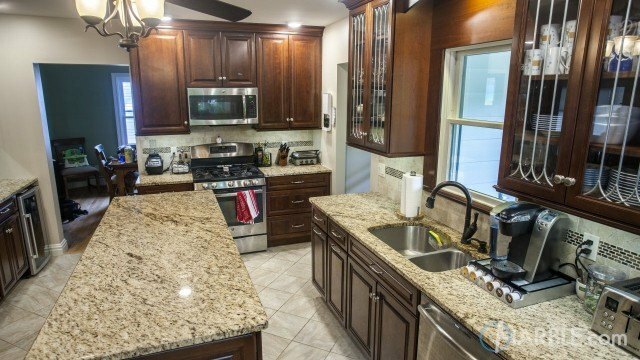 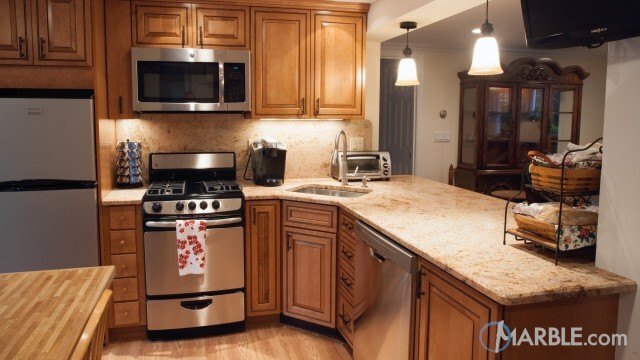 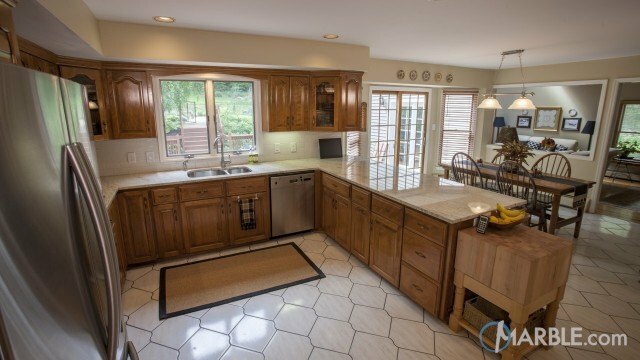 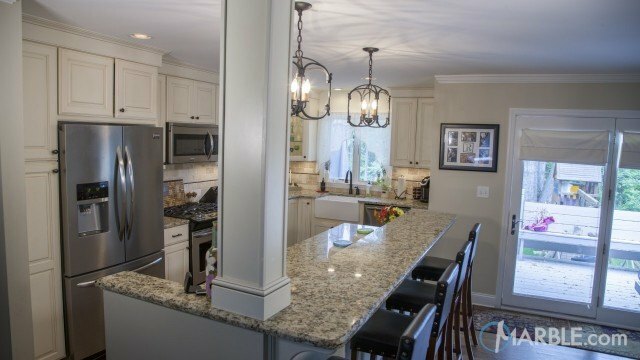 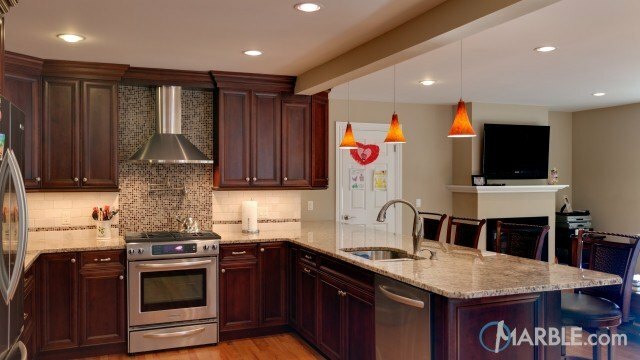 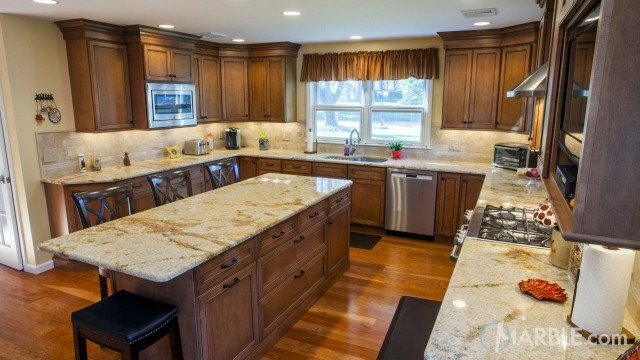 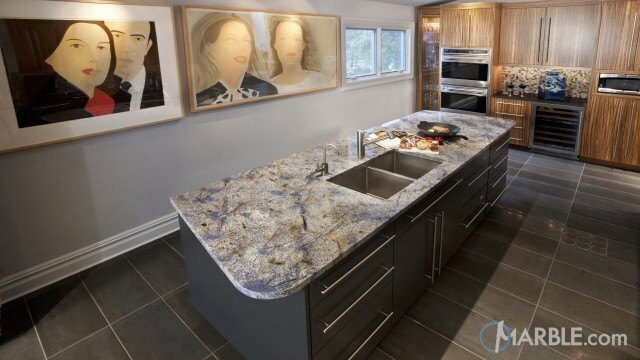 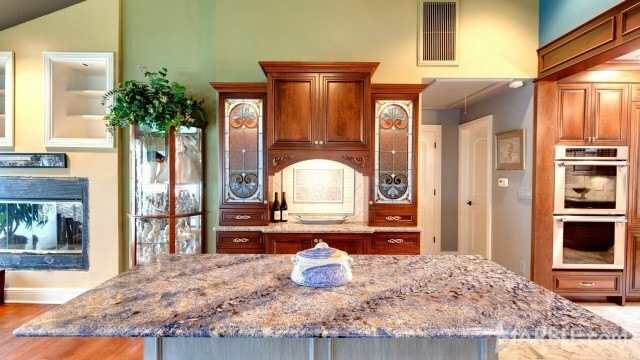 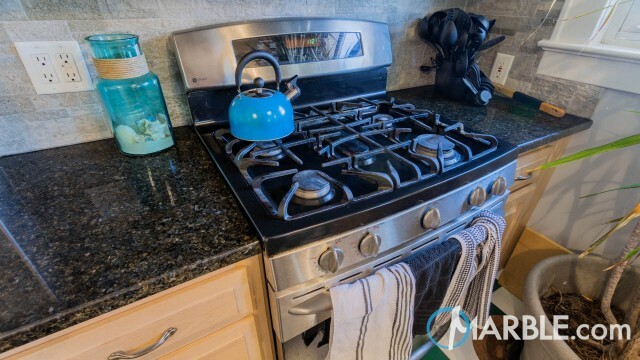 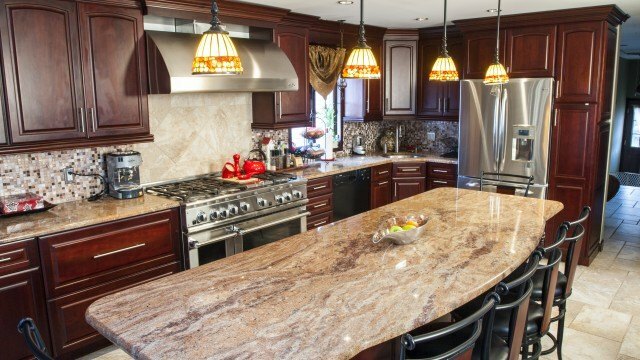 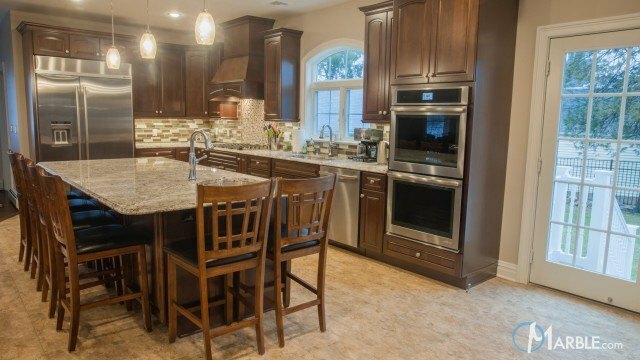 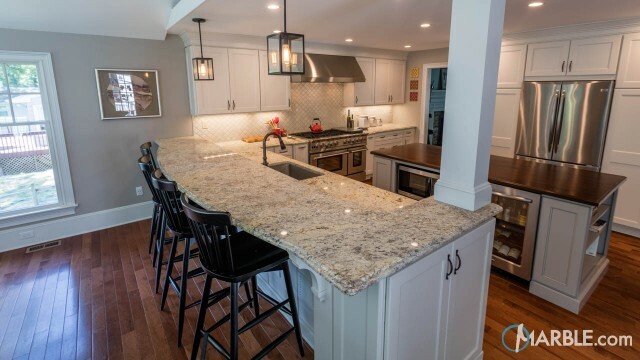 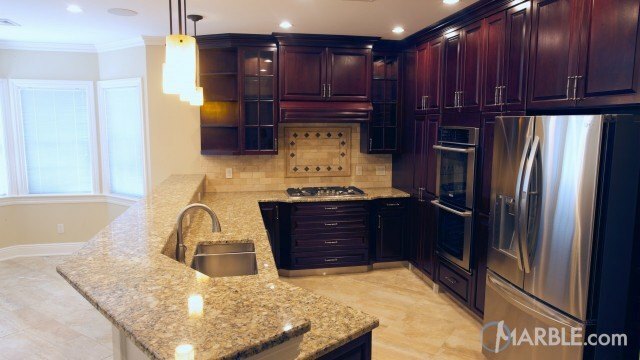 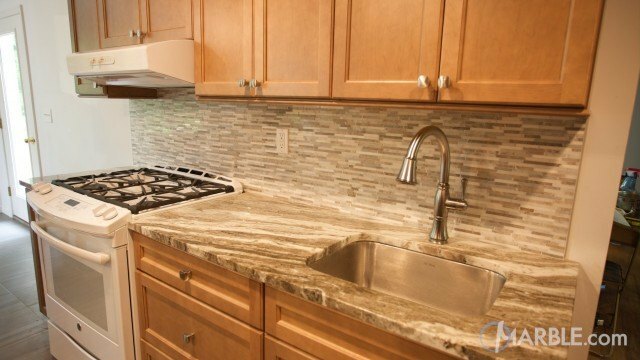 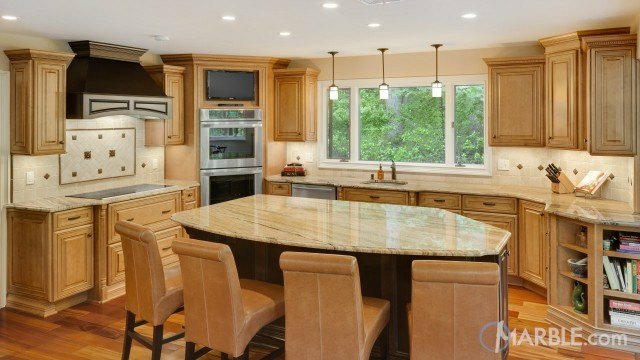 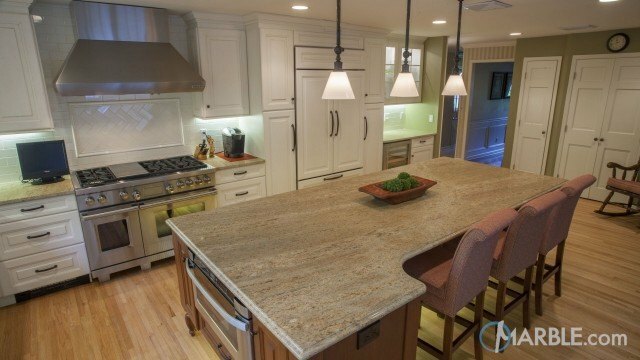 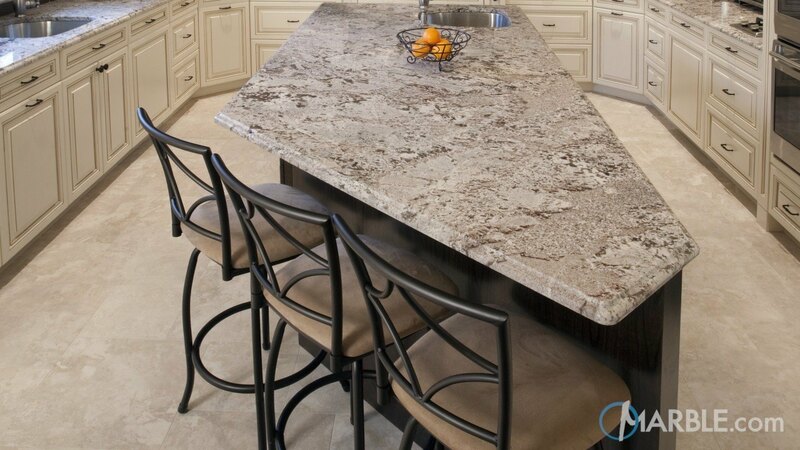 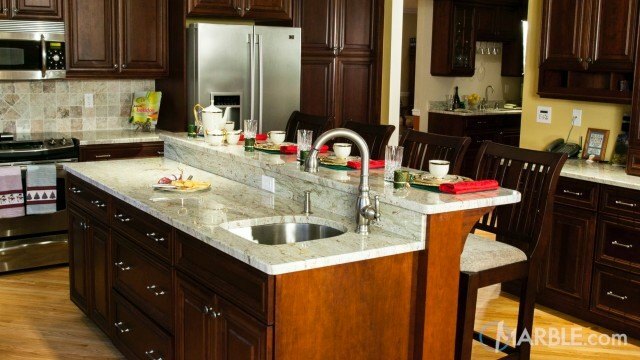 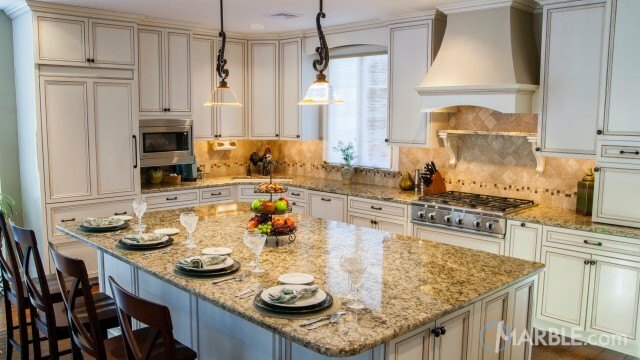 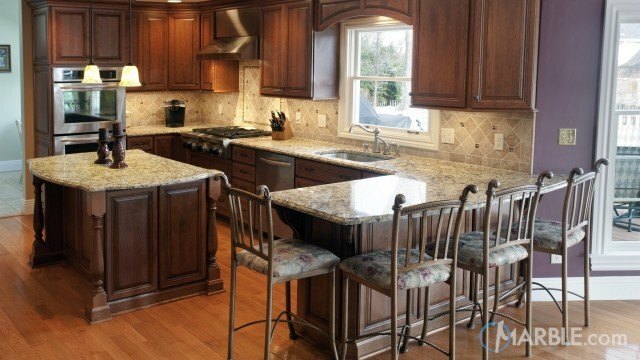 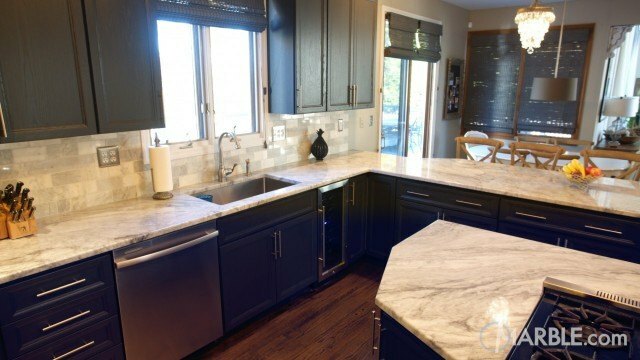 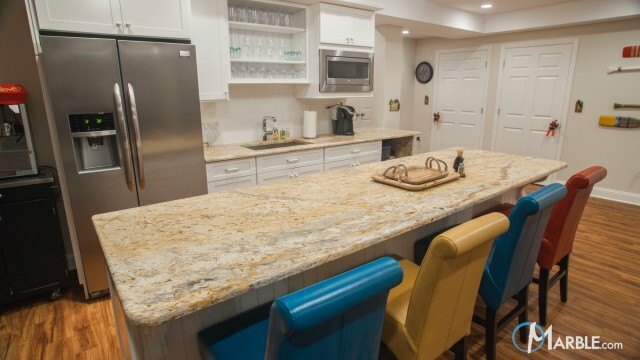 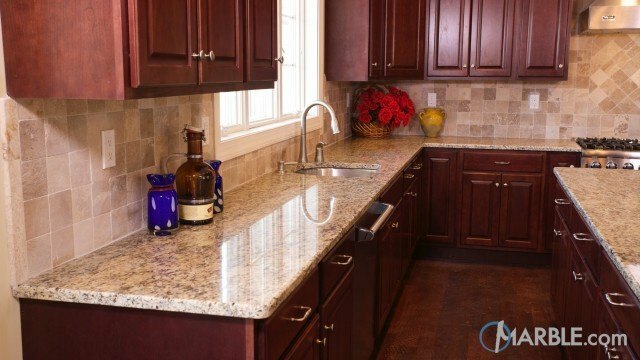 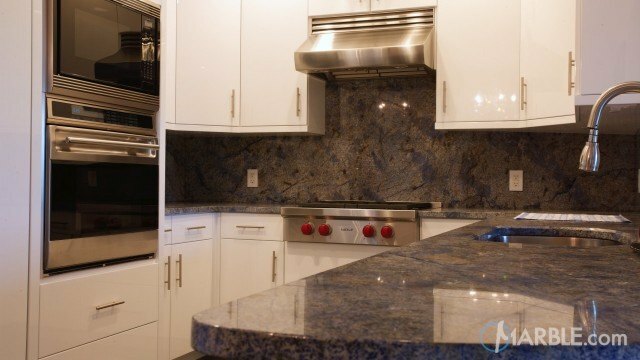 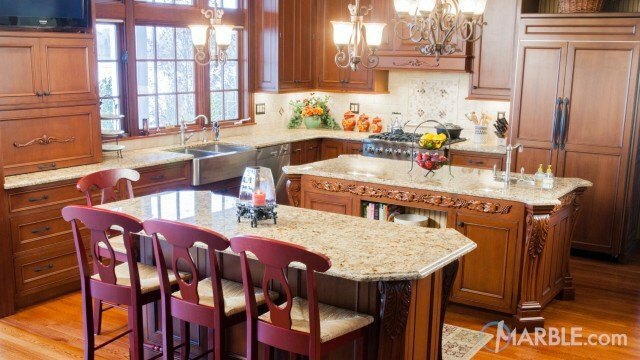 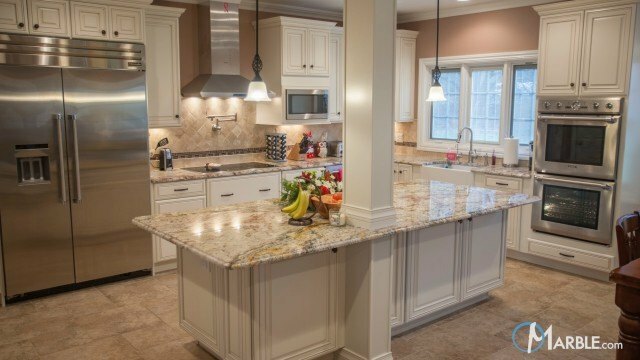 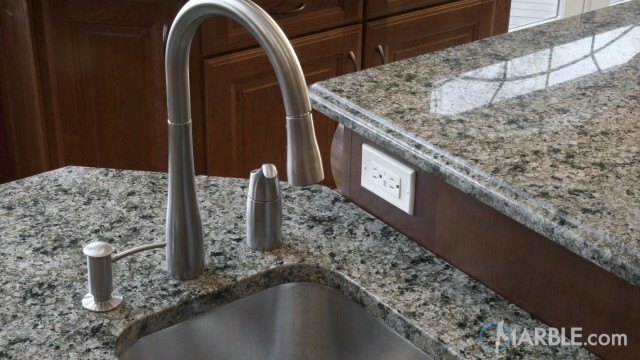 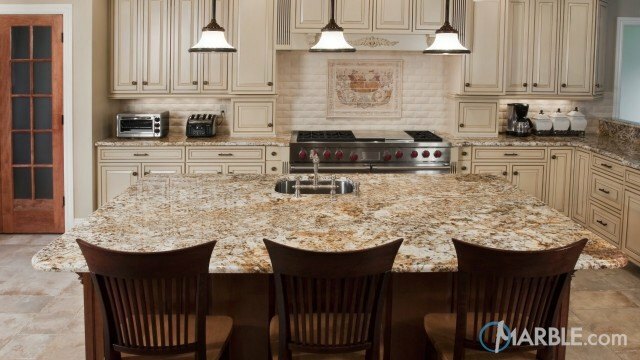 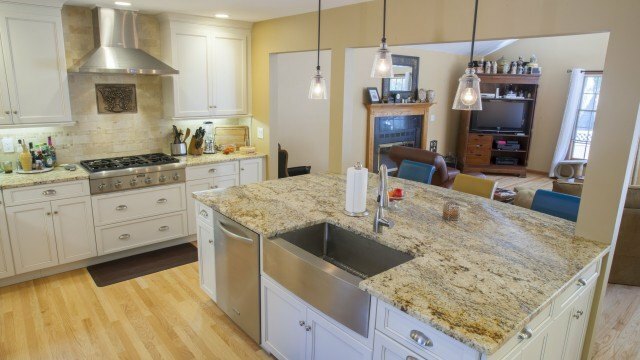 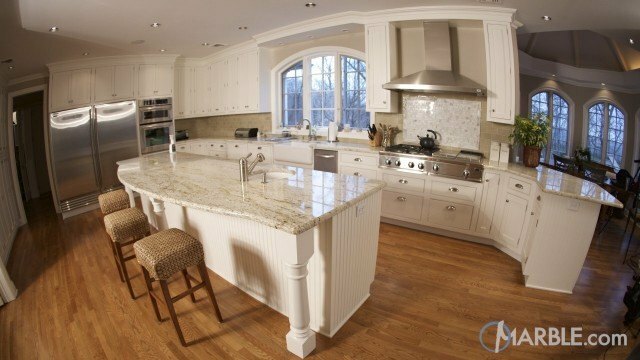 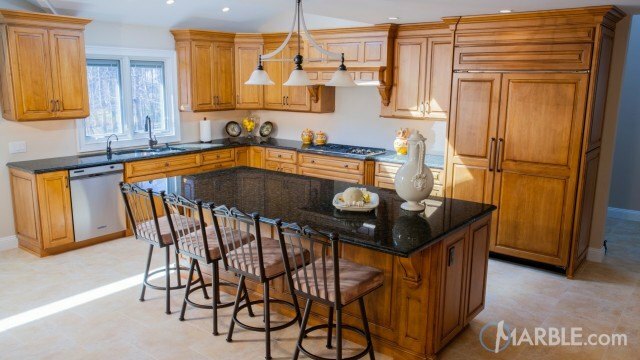 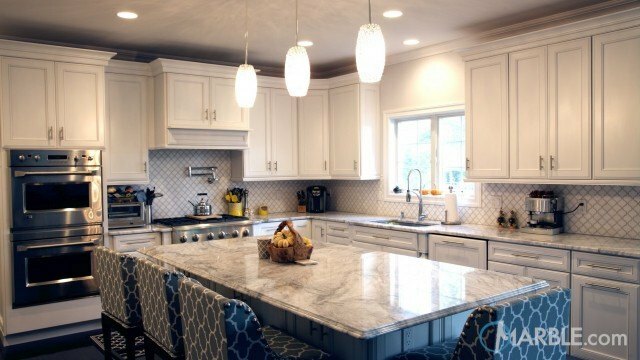 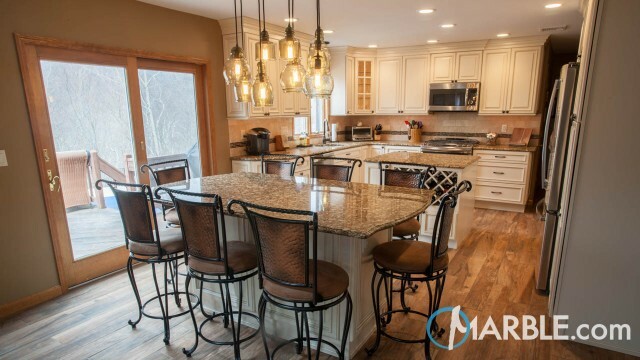 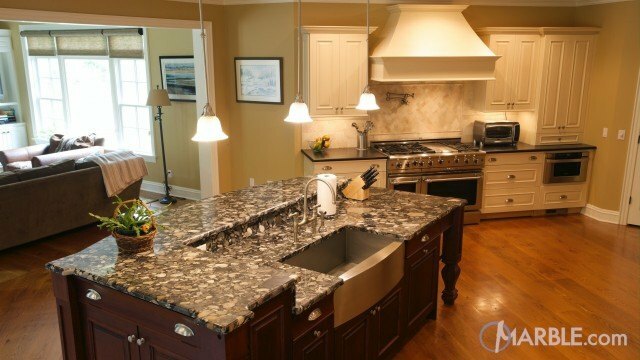 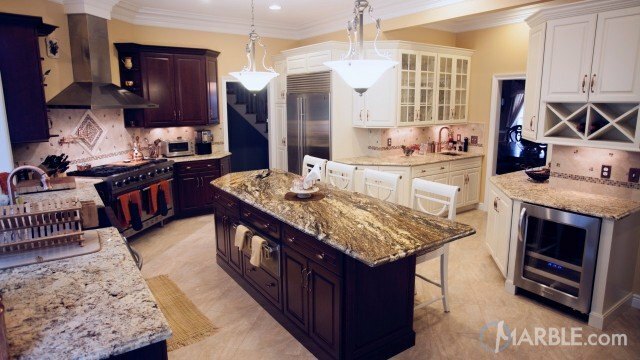 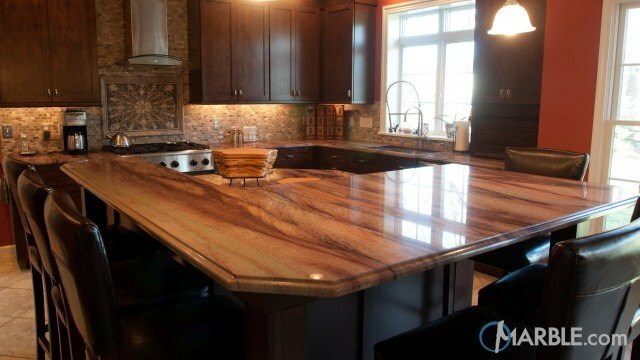 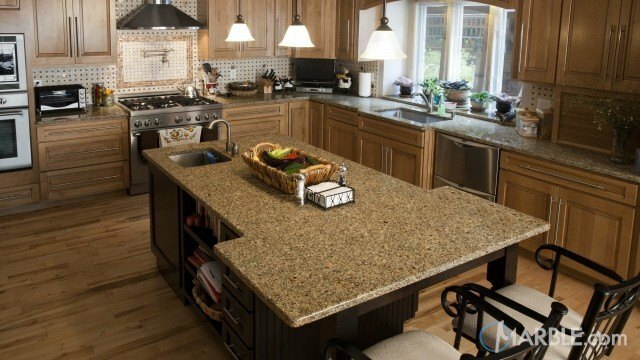 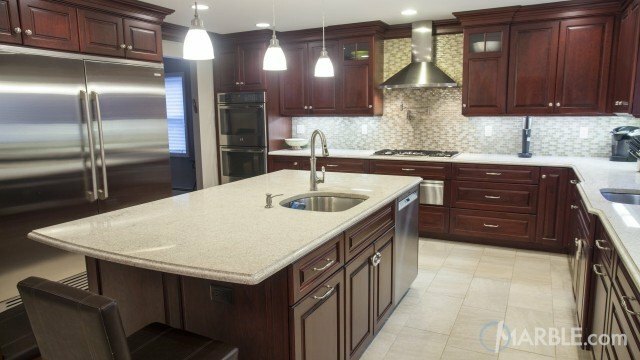 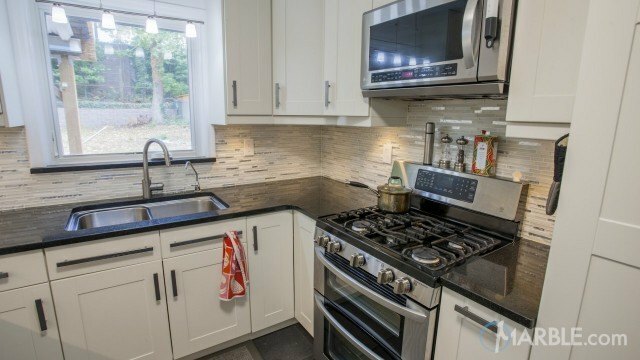 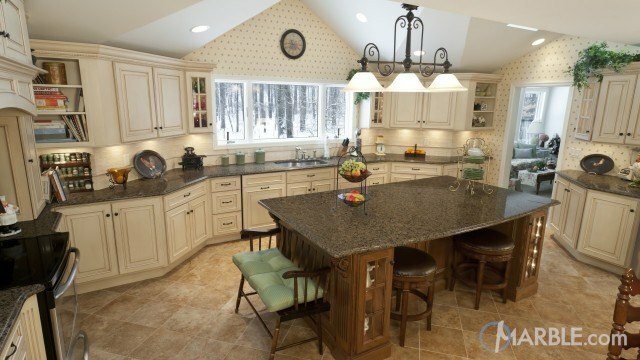 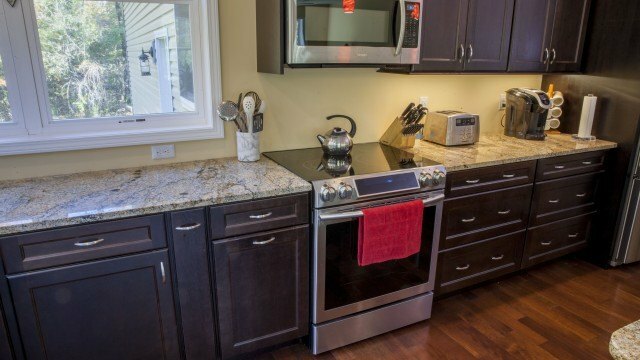 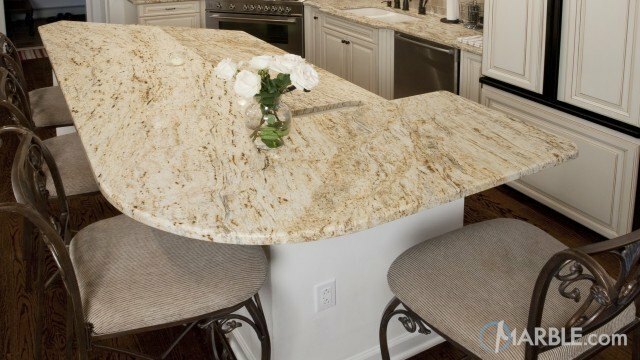 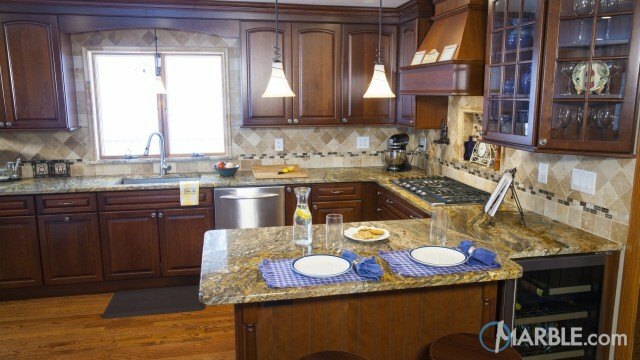 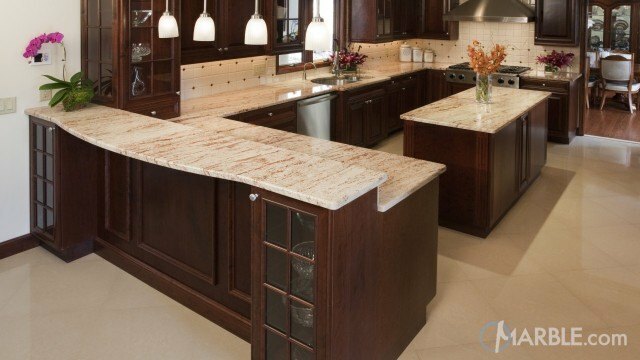 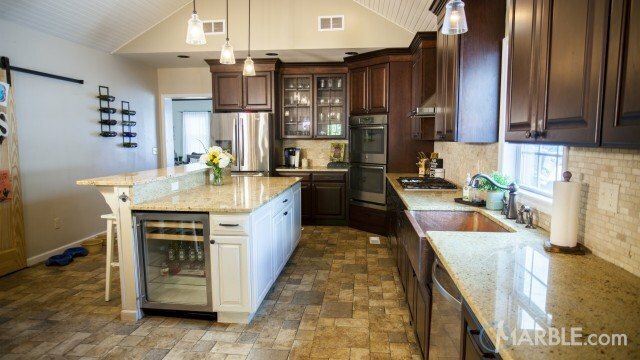 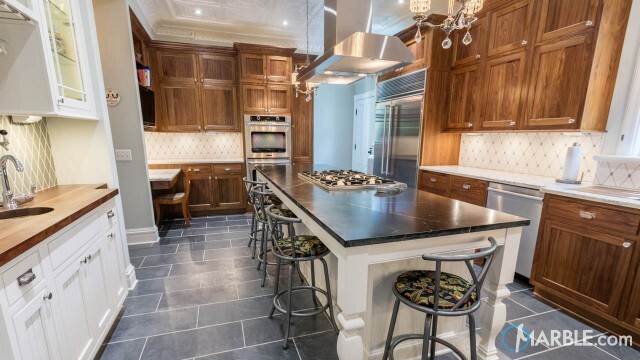 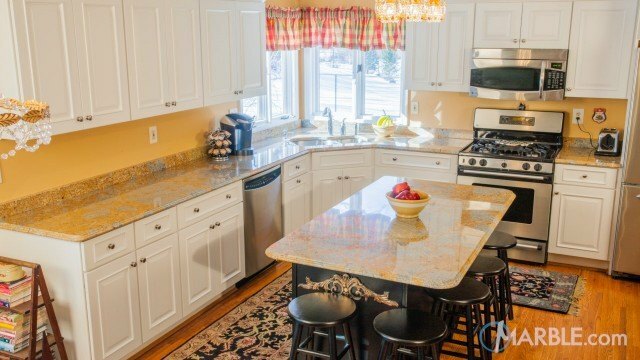 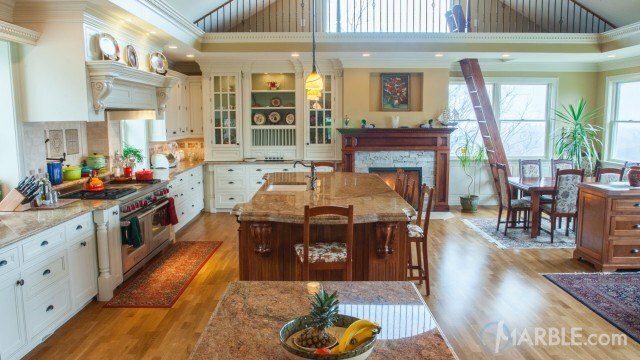 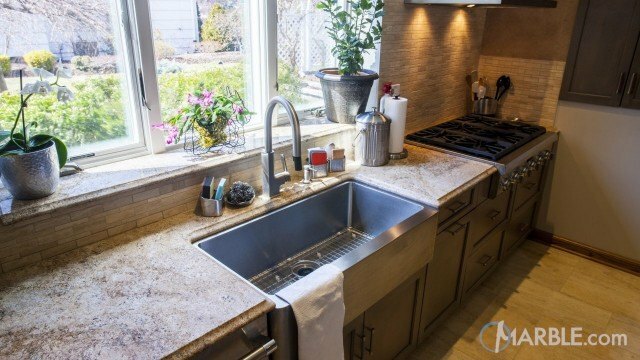 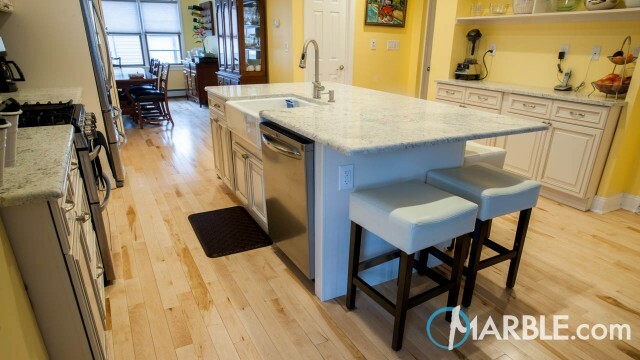 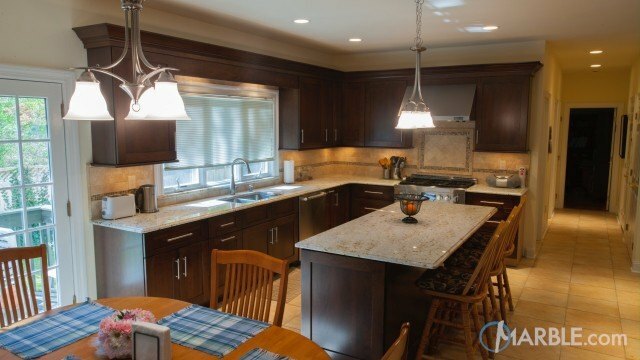 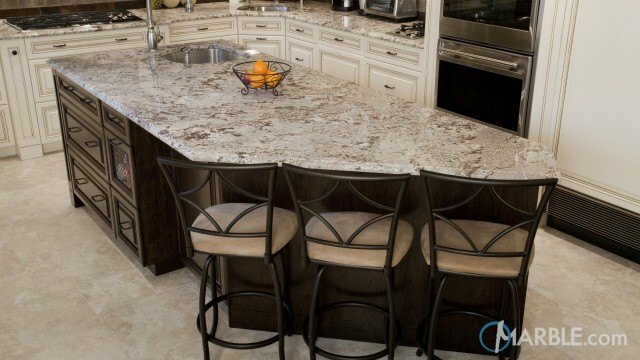 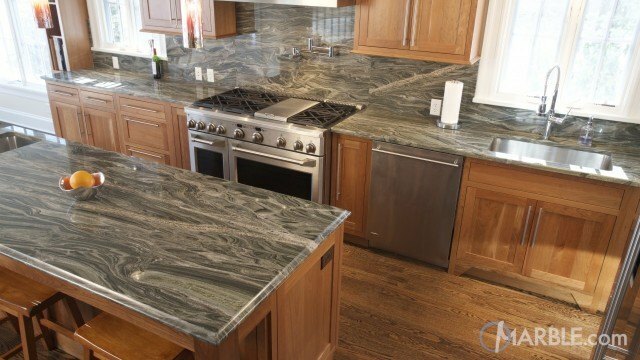 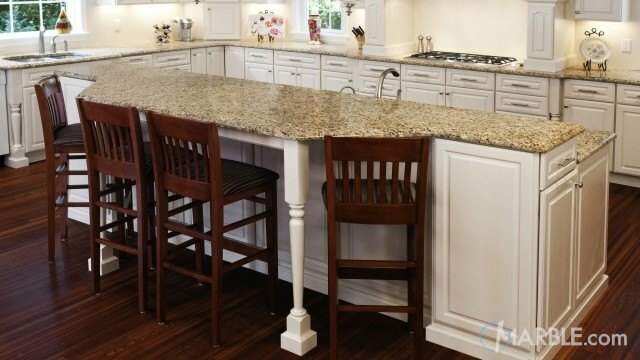 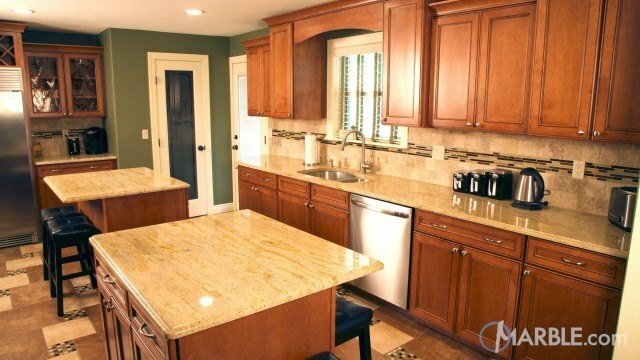 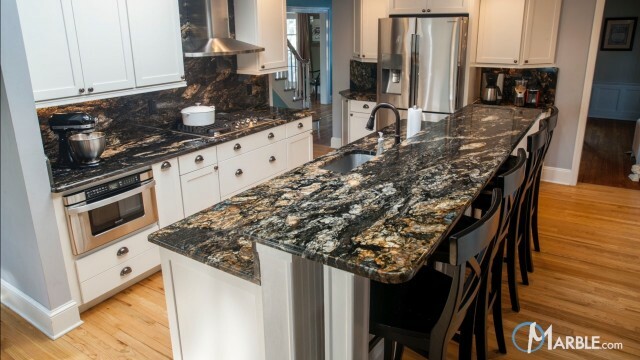 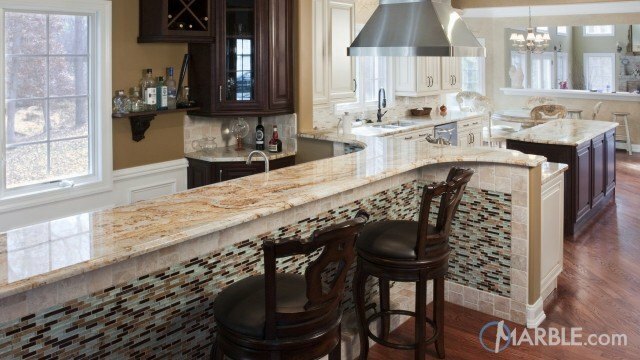 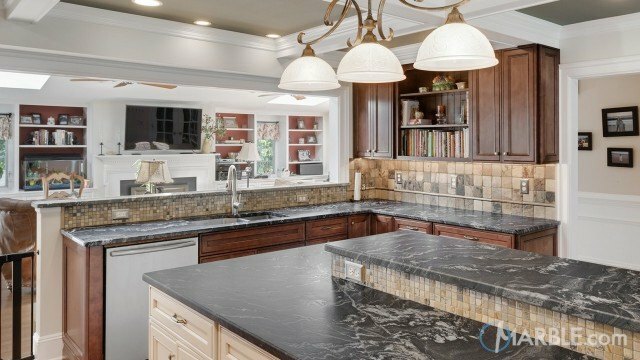 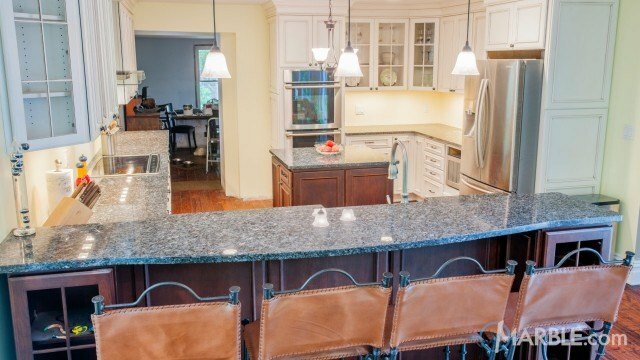 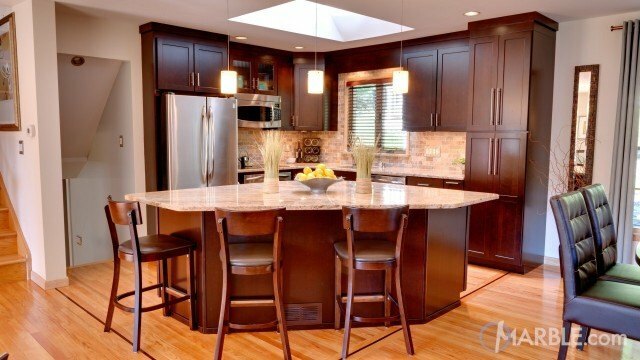 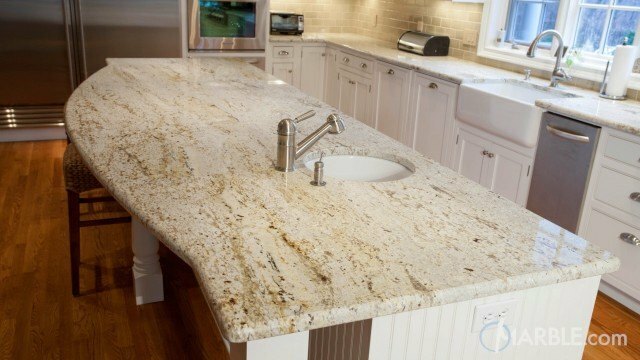 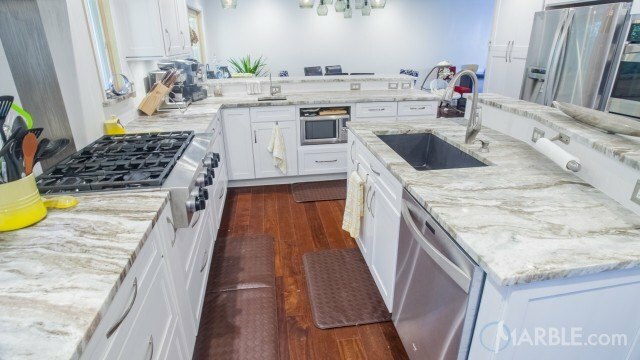 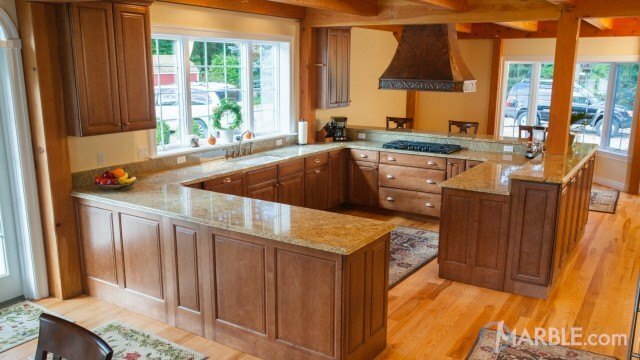 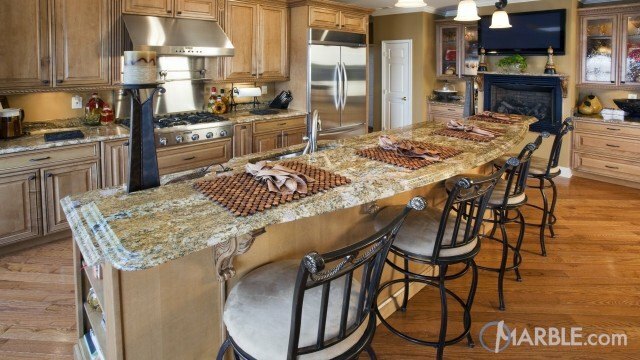 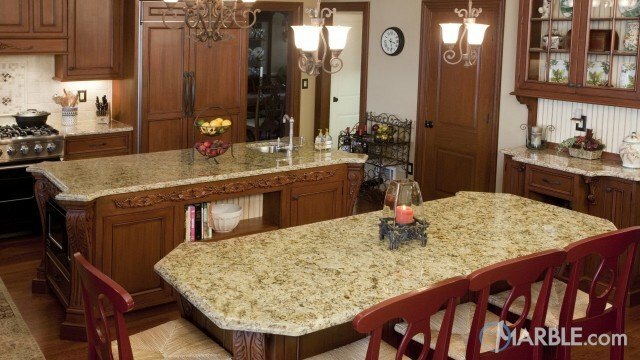 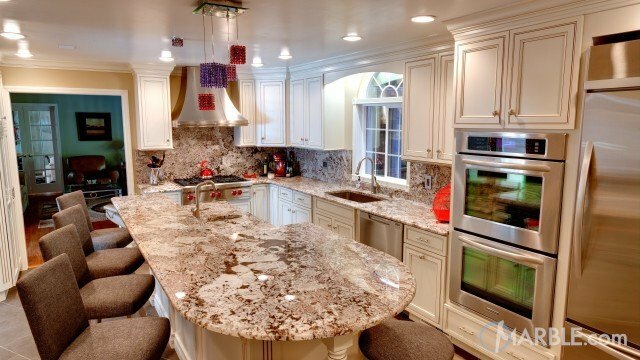 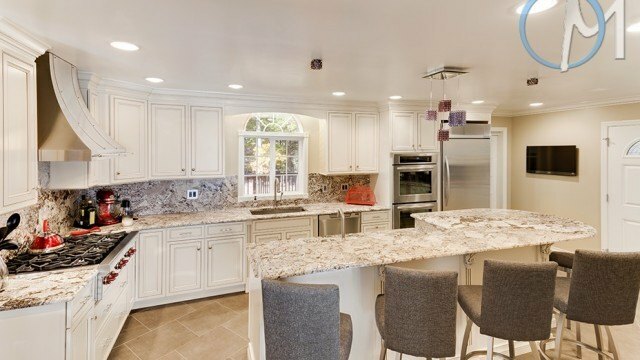 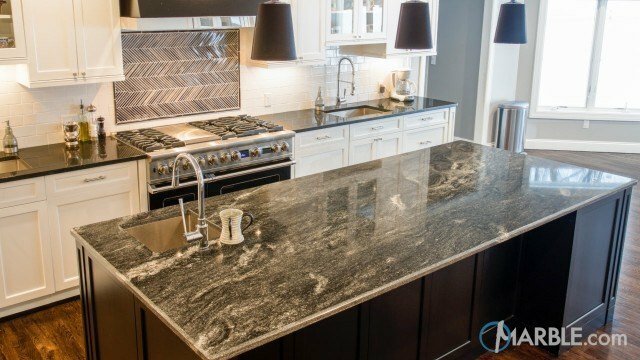 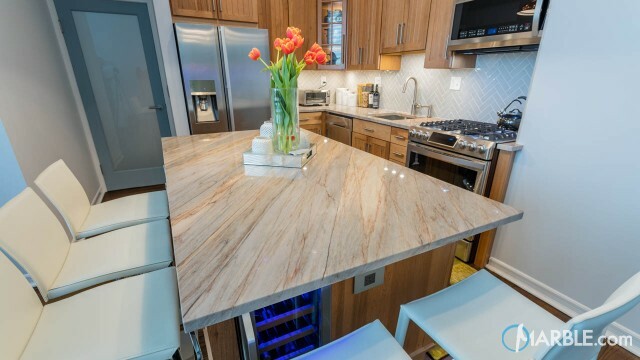 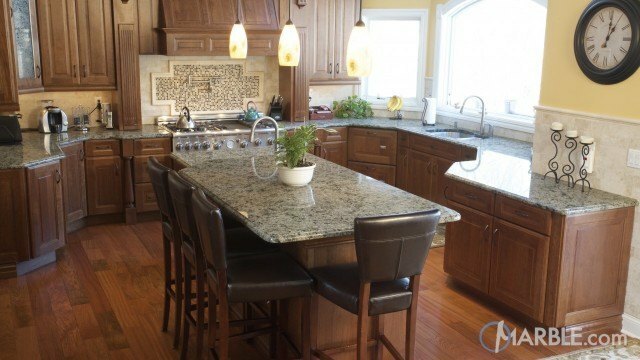 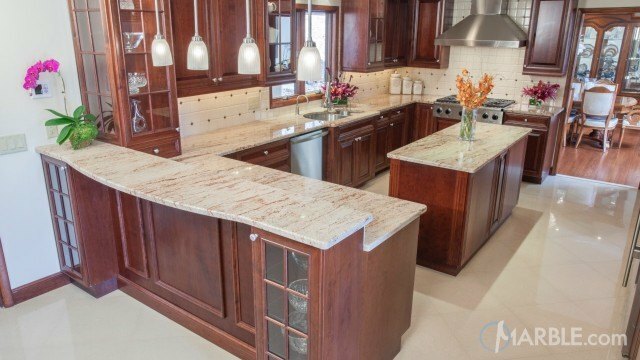 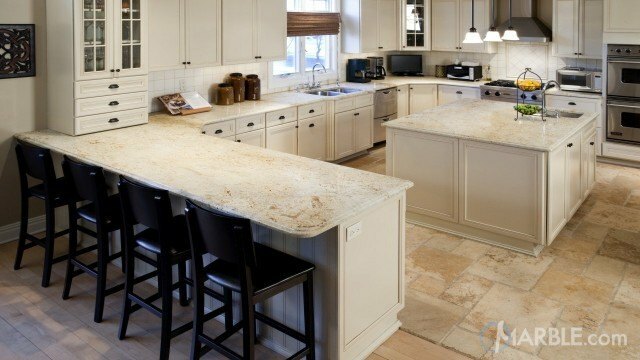 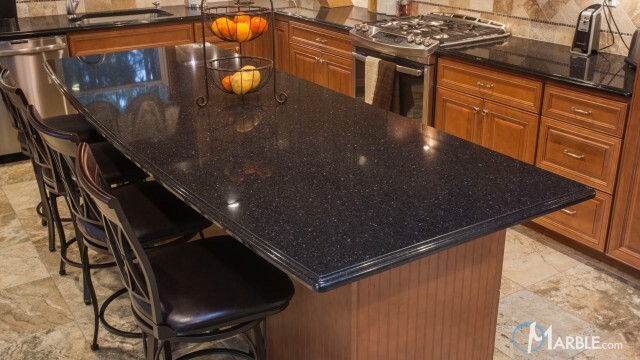 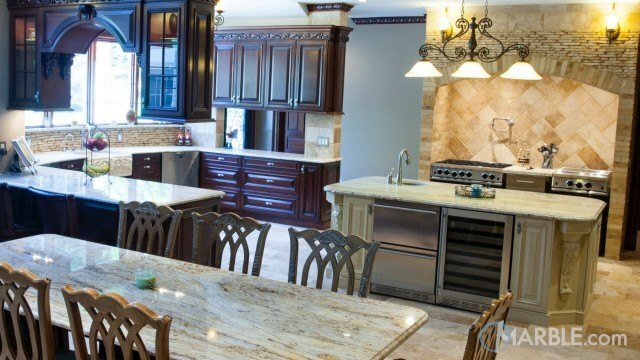 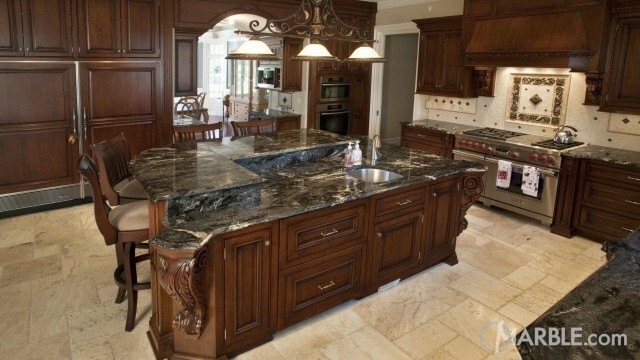 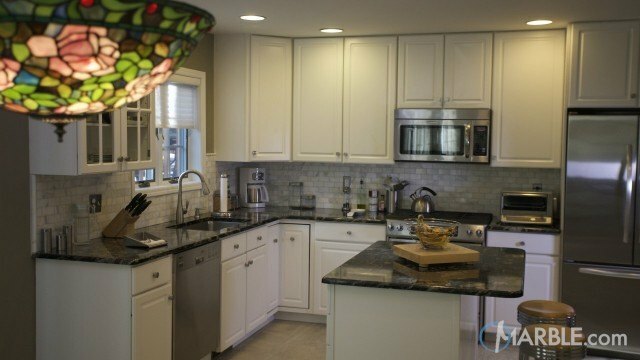 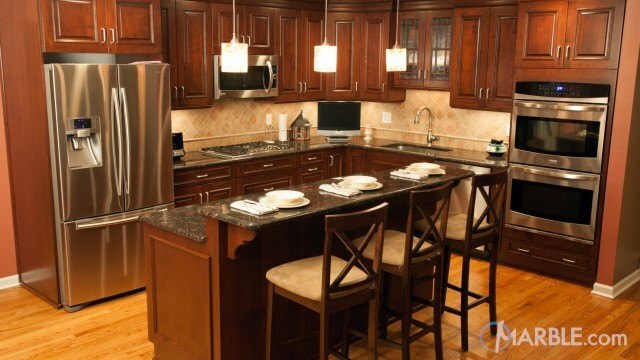 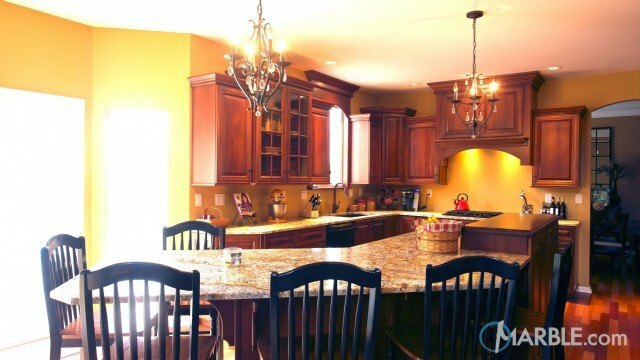 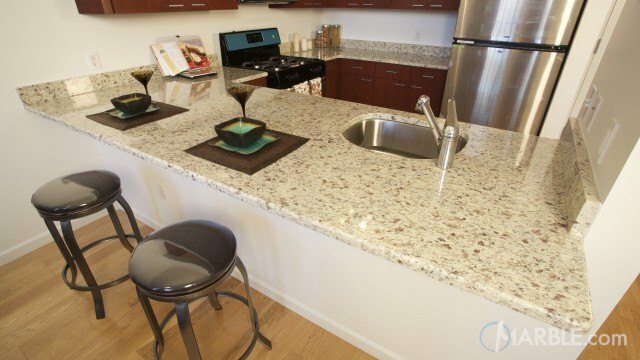 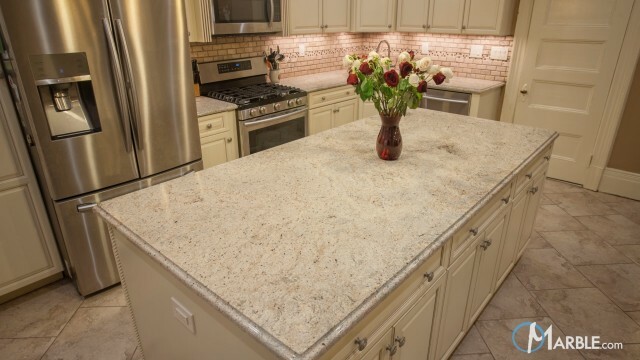 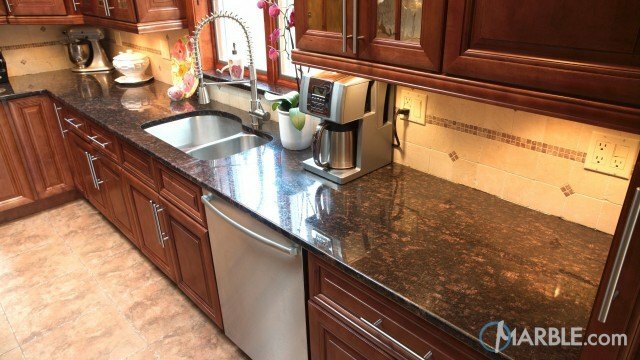 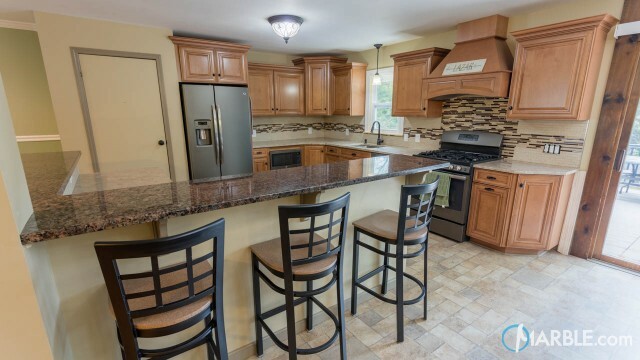 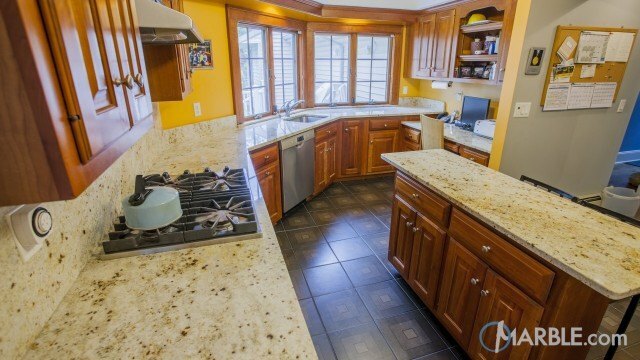 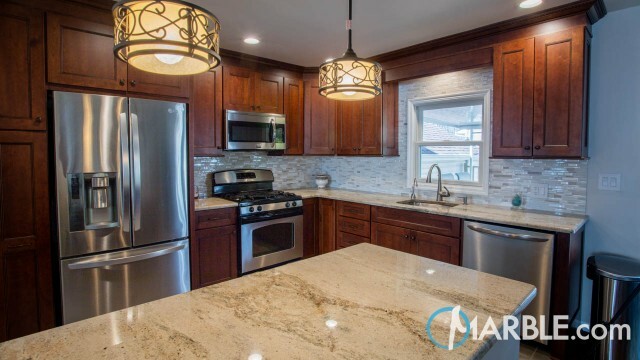 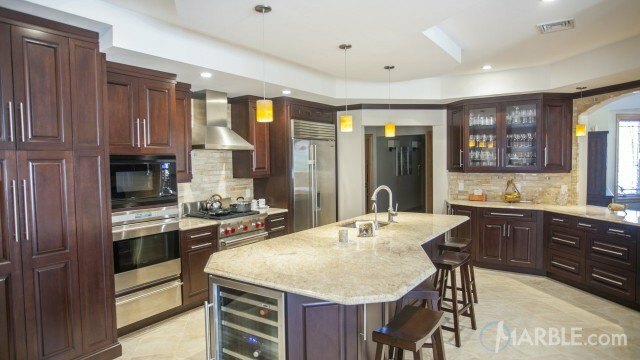 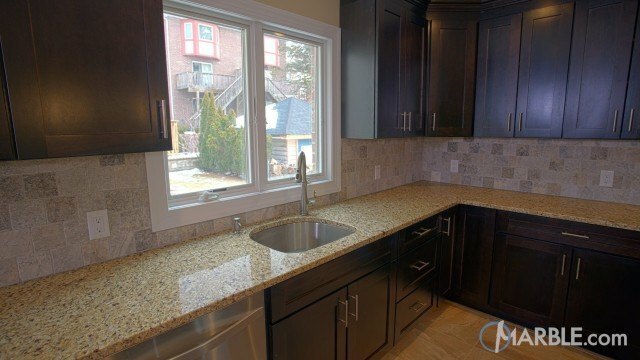 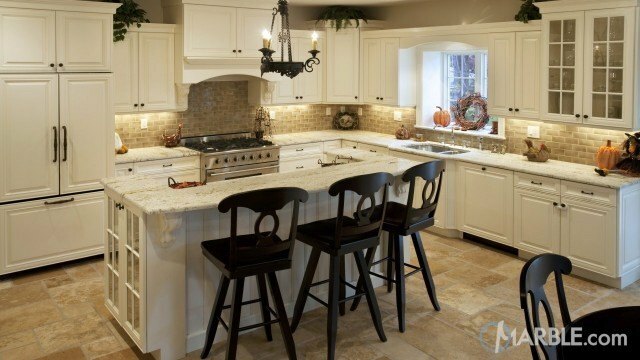 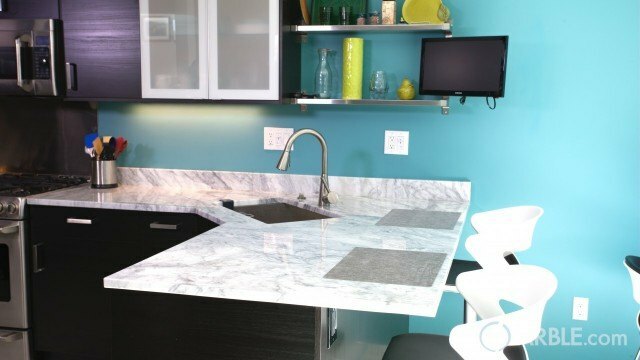 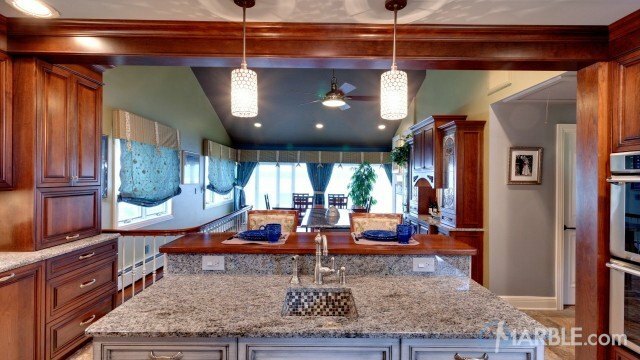 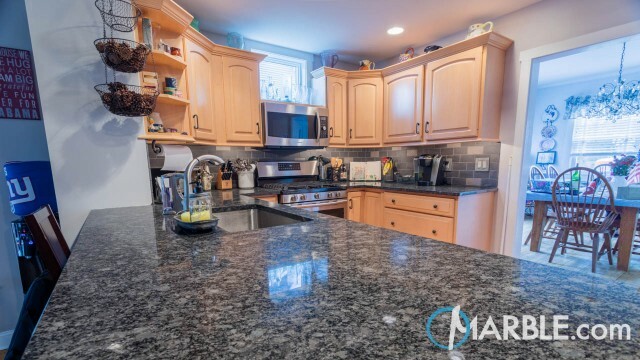 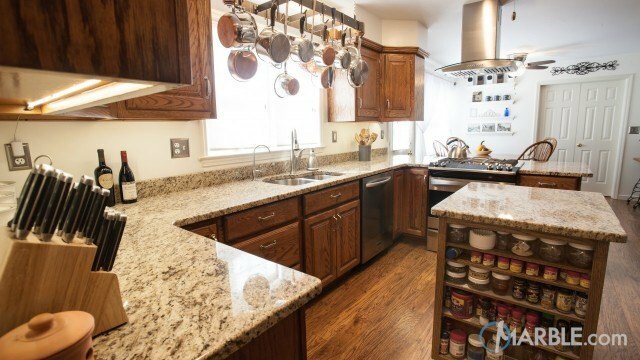 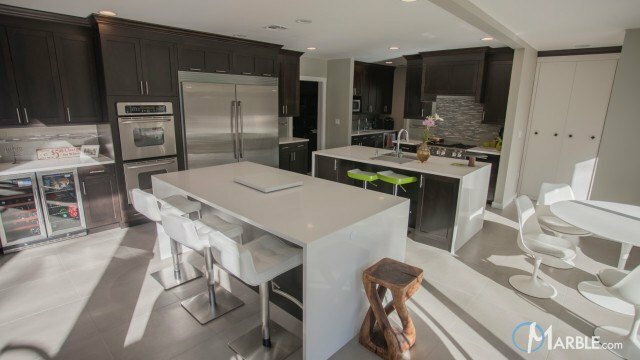 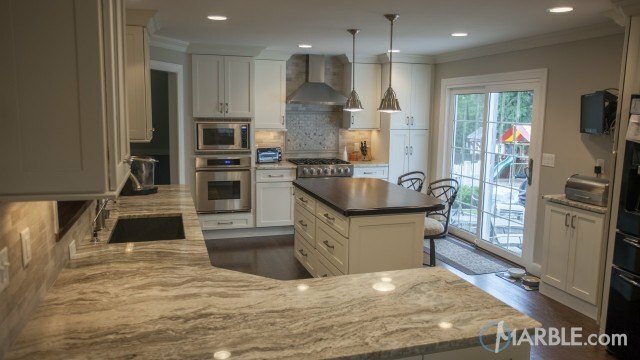 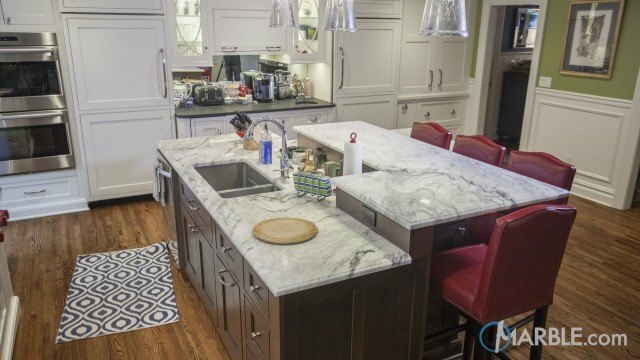 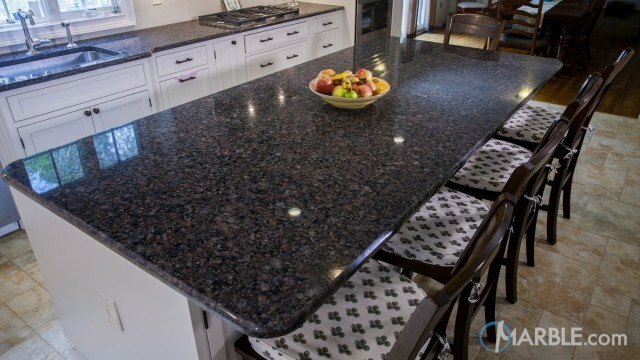 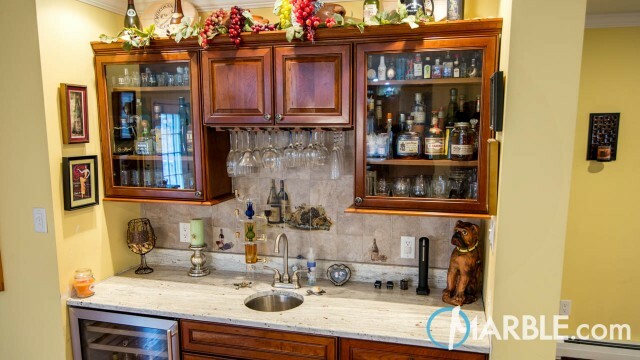 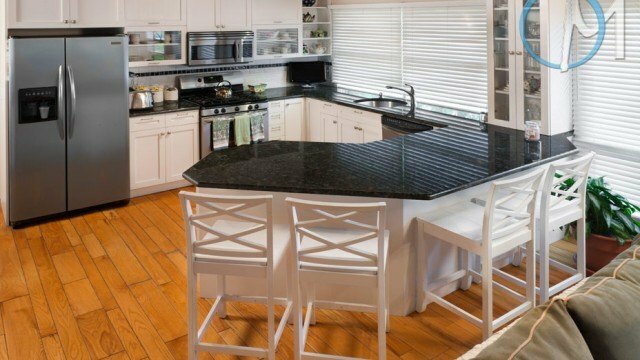 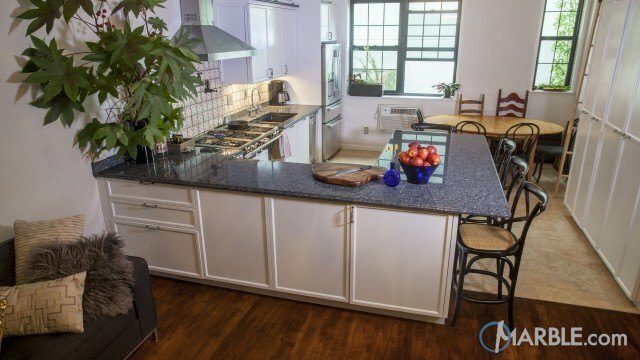 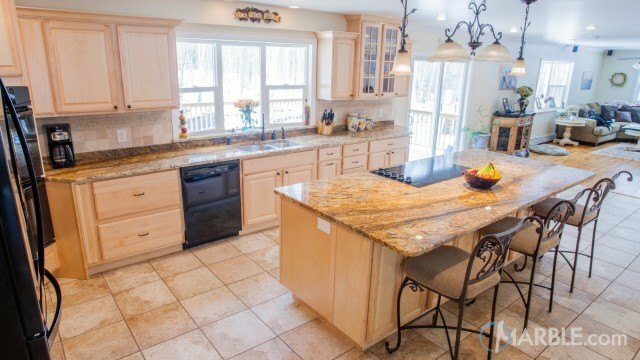 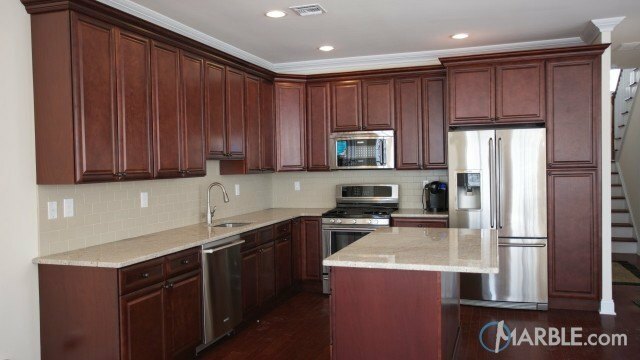 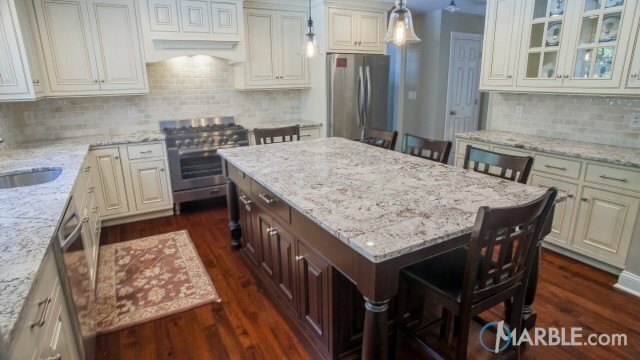 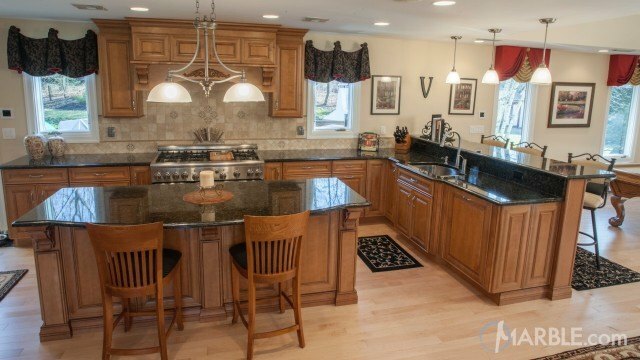 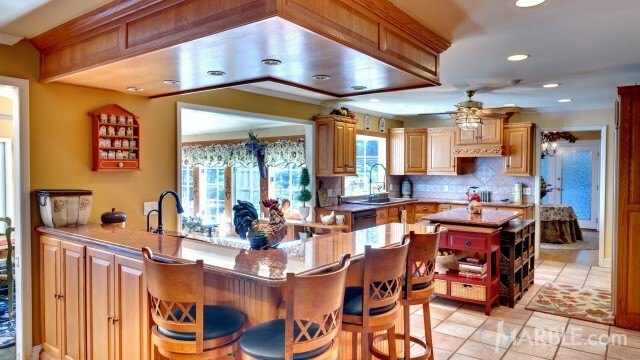 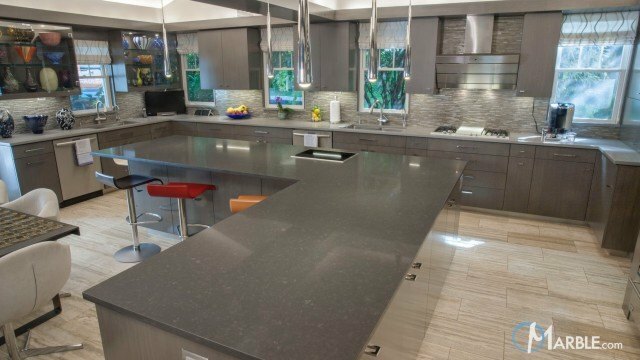 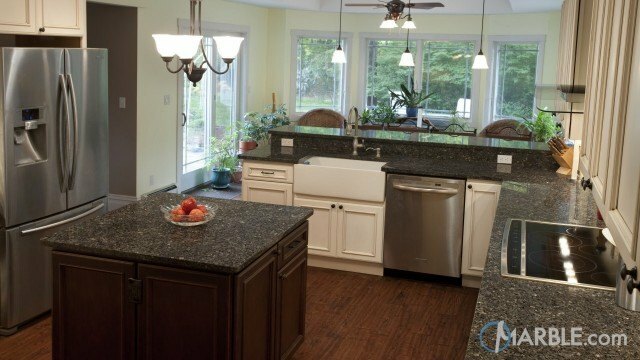 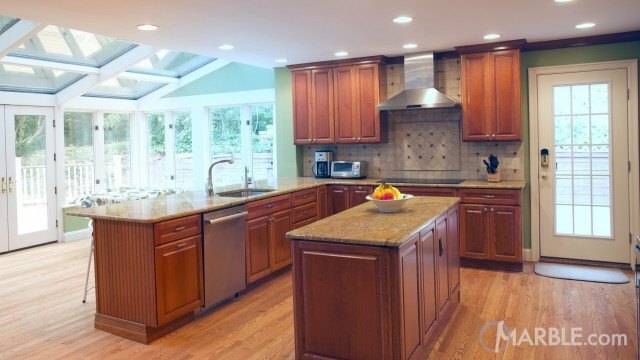 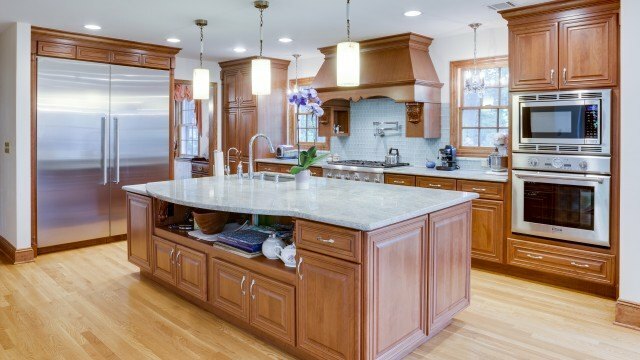 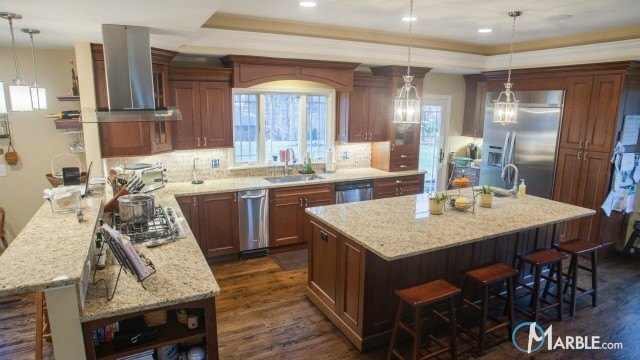 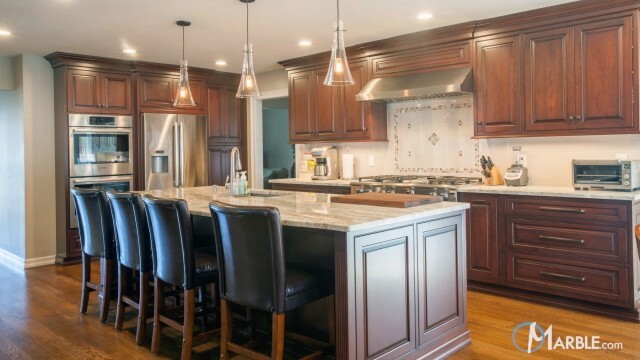 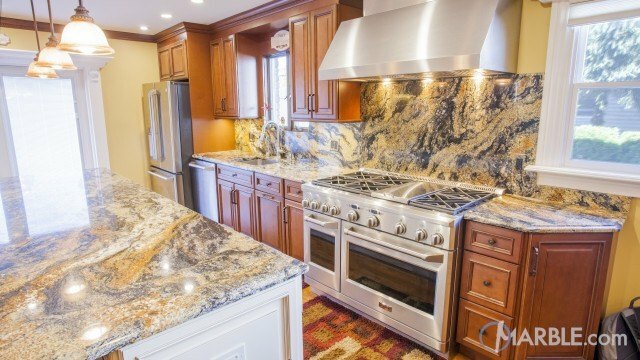 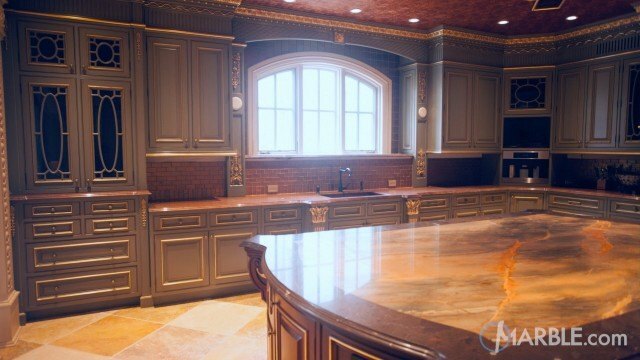 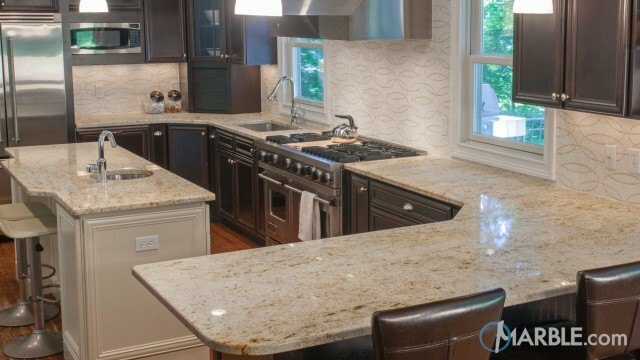 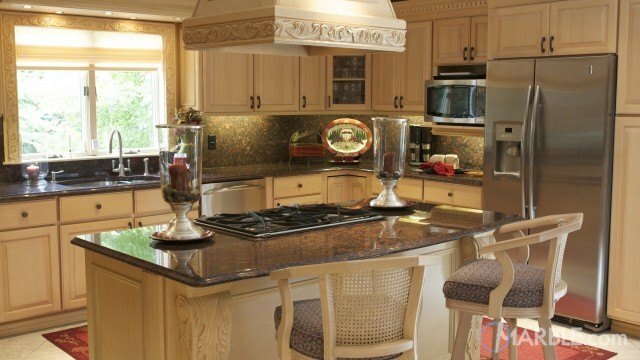 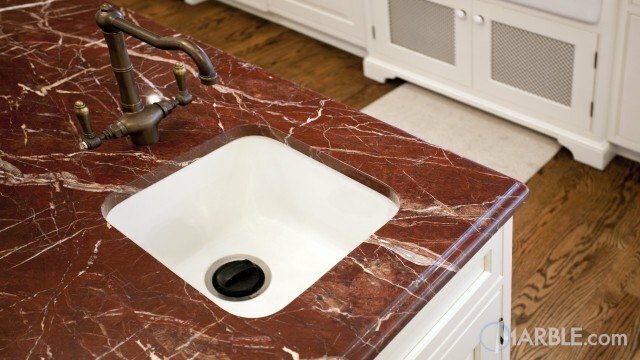 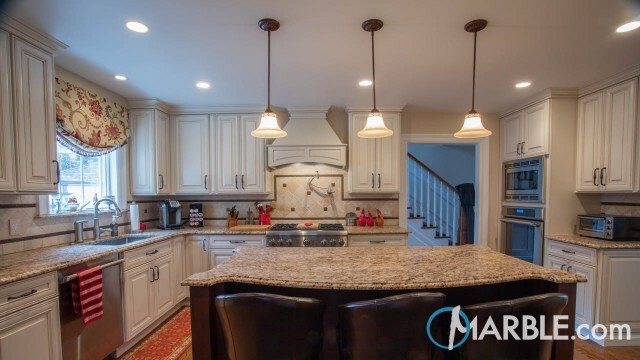 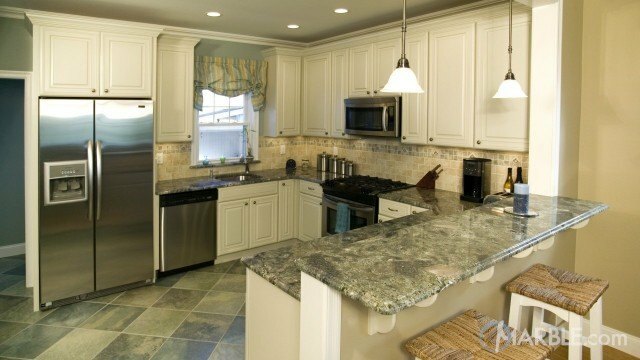 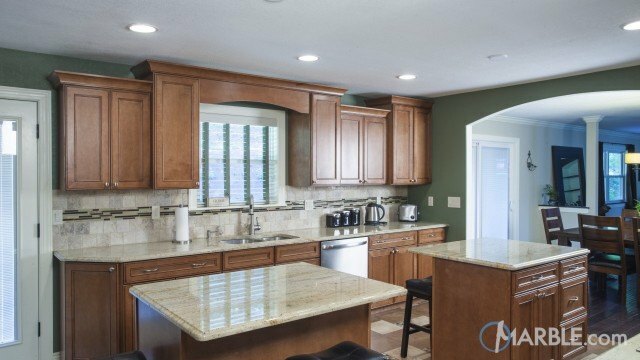 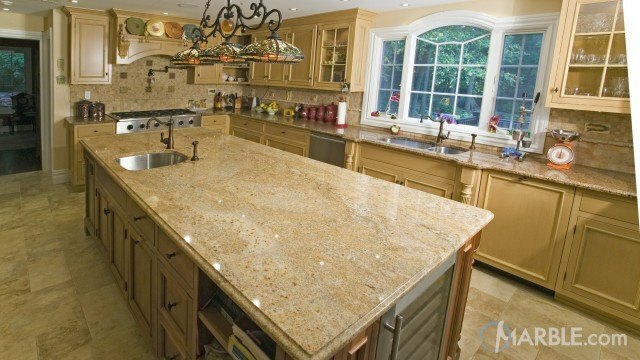 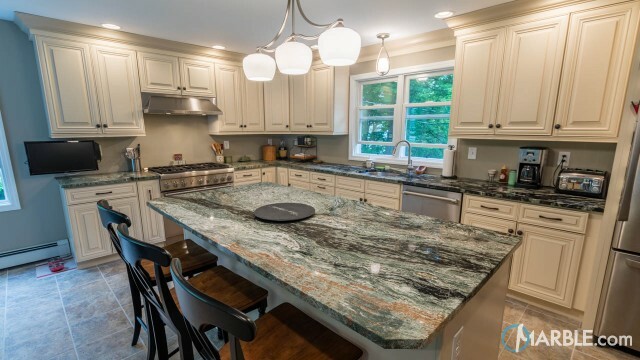 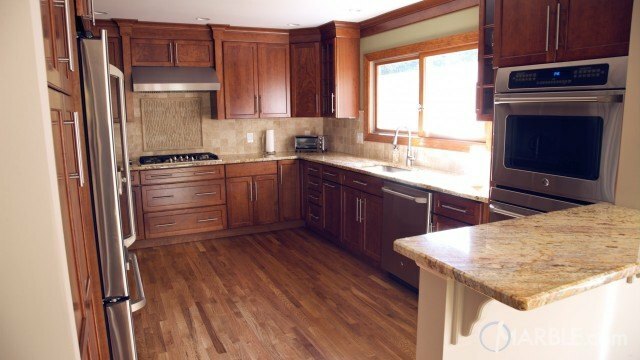 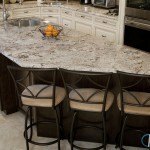 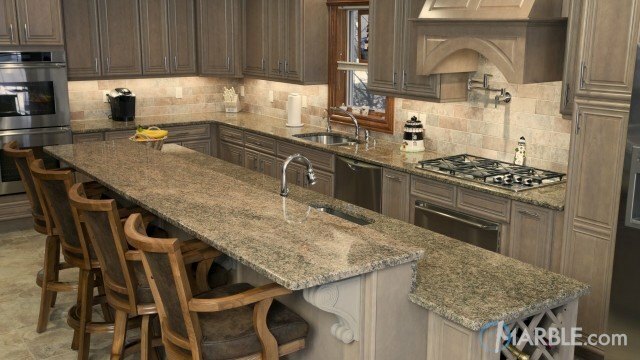 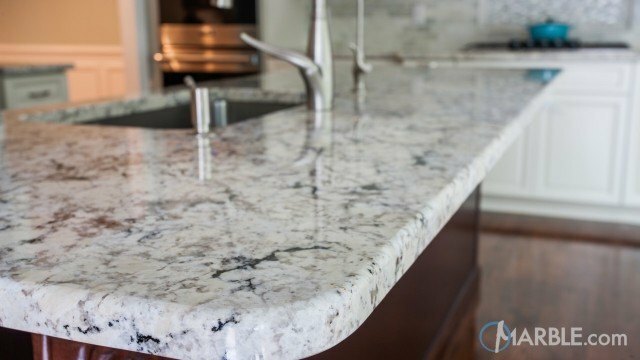 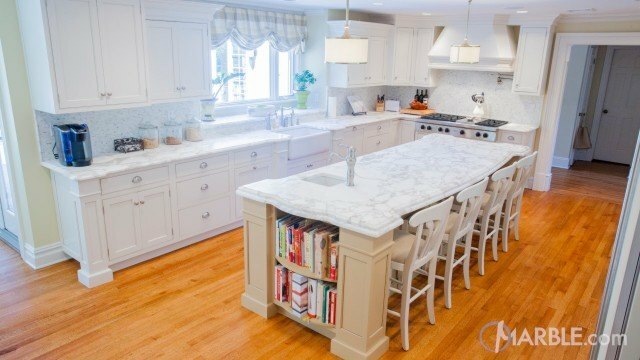 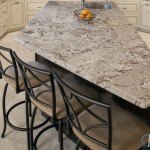 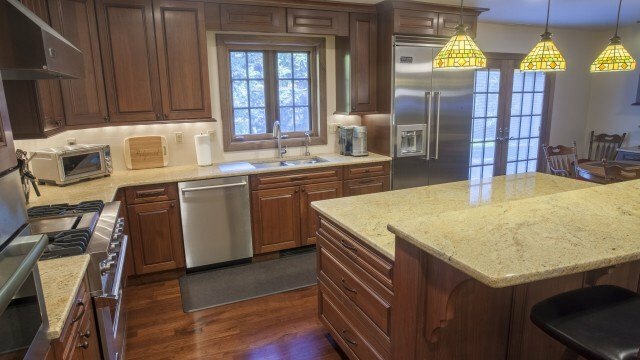 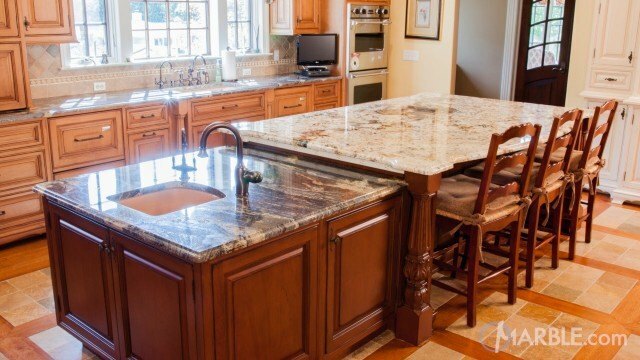 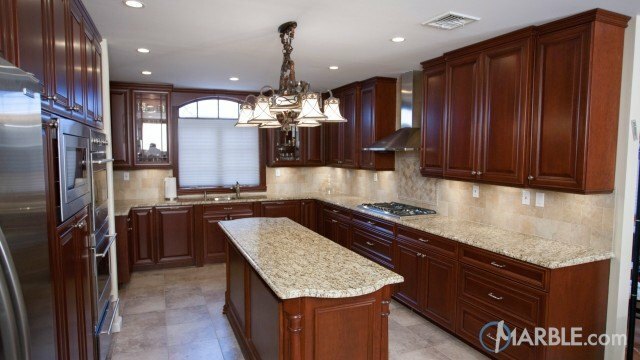 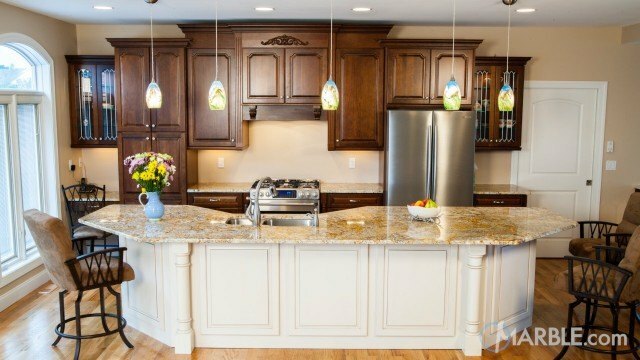 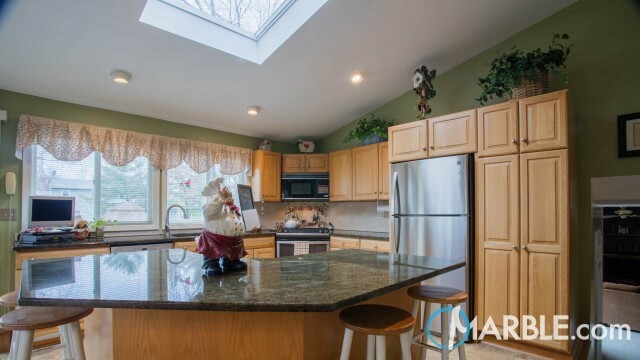 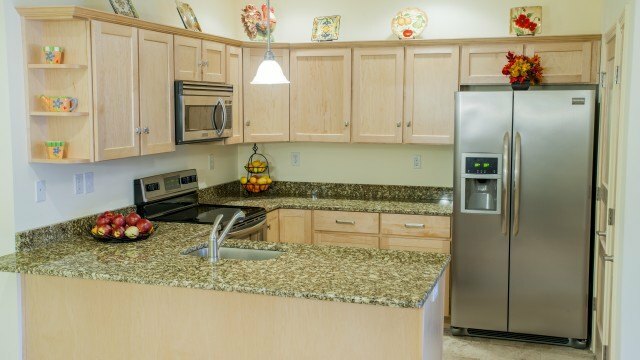 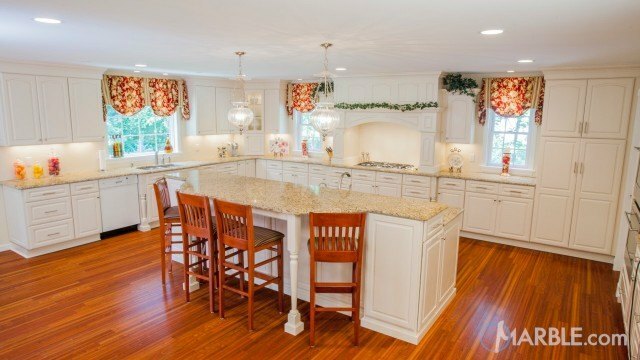 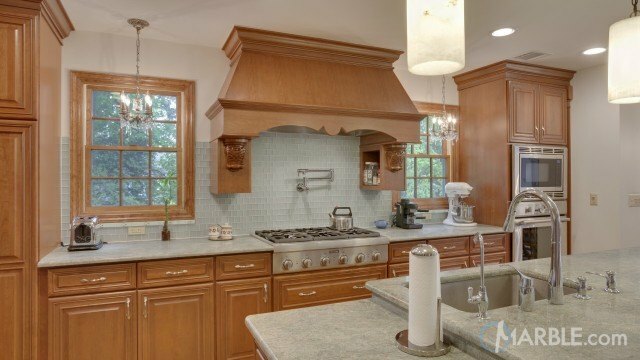 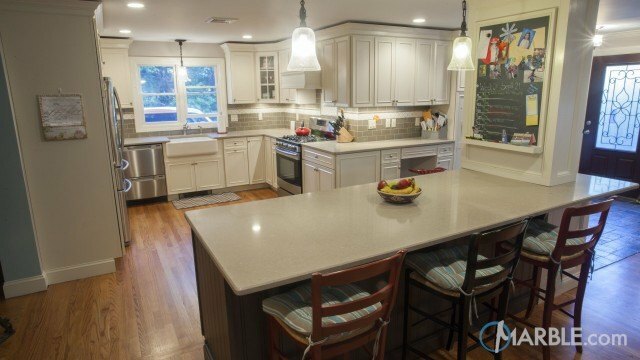 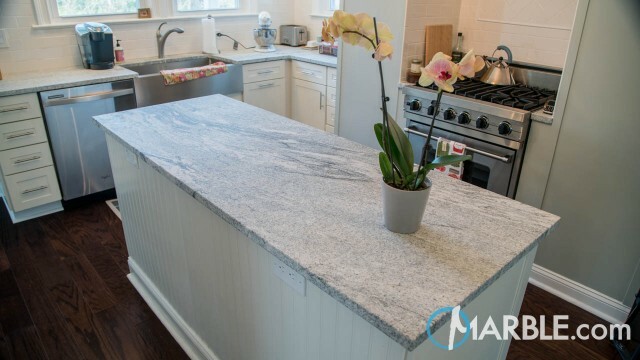 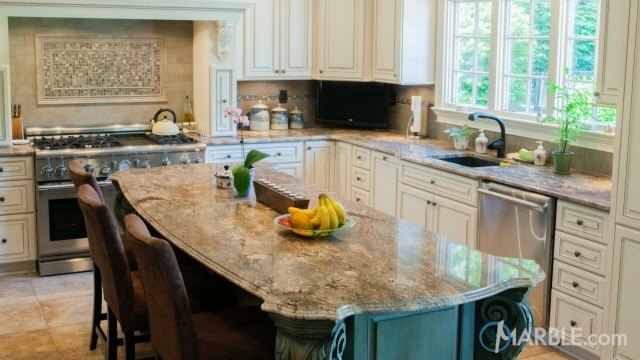 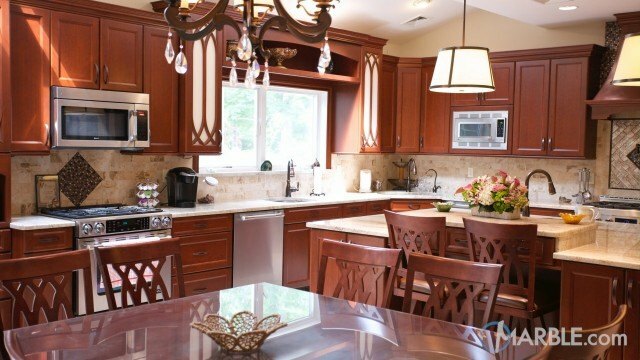 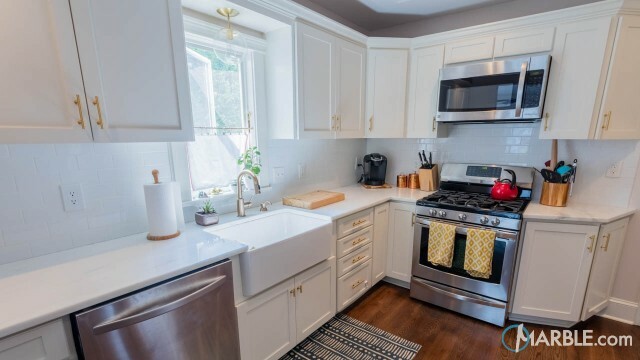 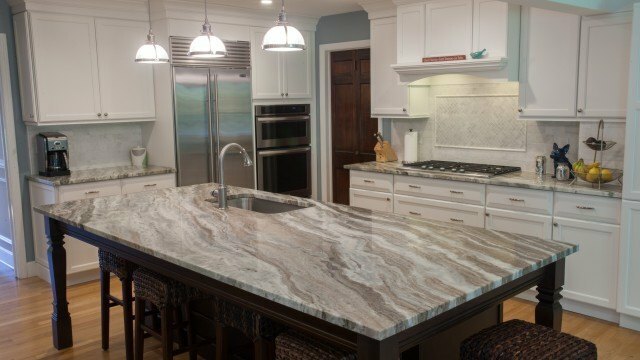 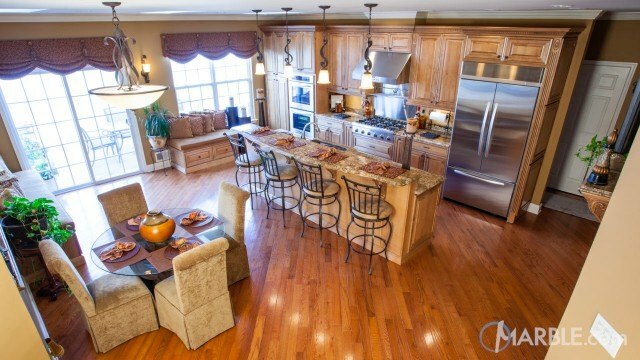 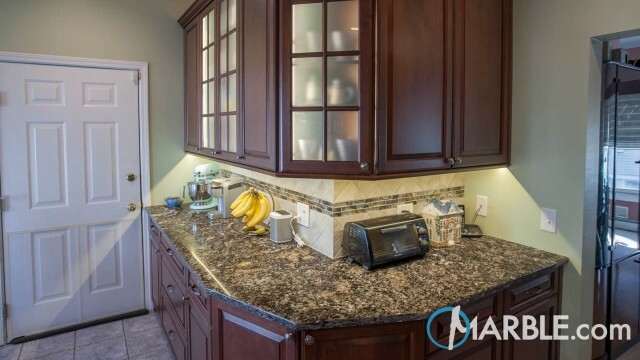 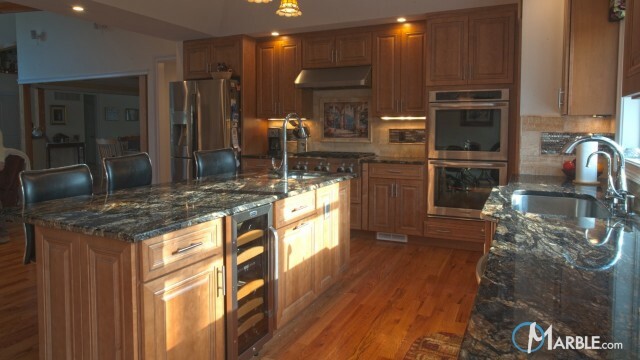 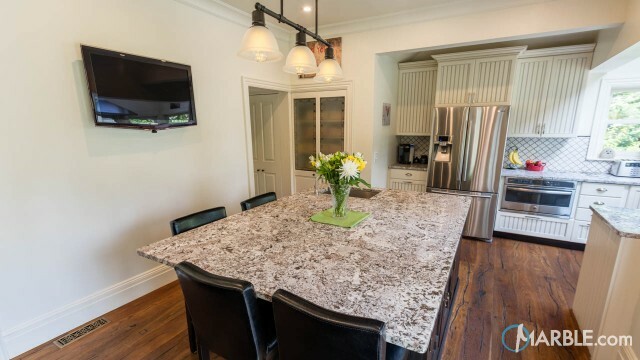 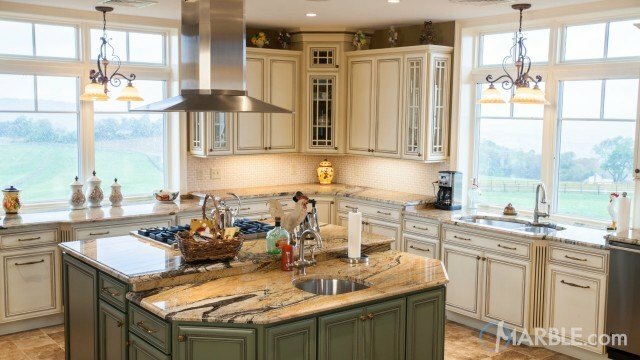 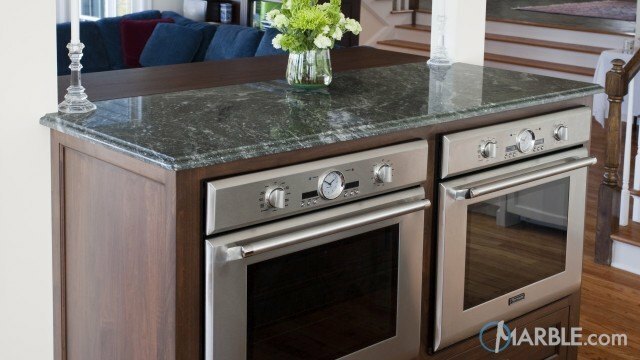 The large island is perfect for preparing food or entertaining guests.